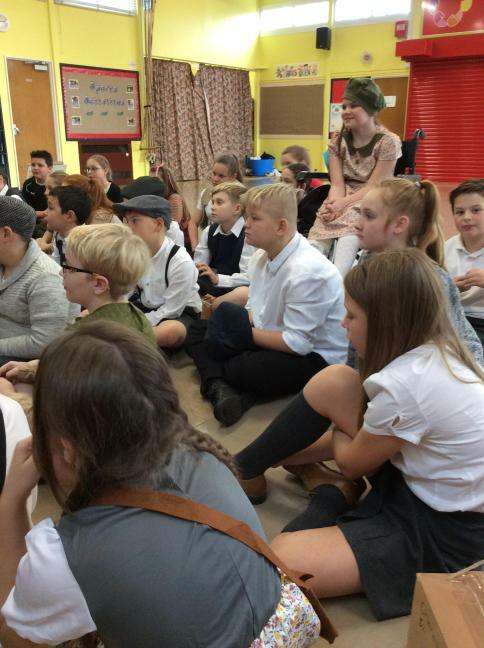 What a wonderful start to this new year with all smart uniforms and smiles, lovely to see you all again! 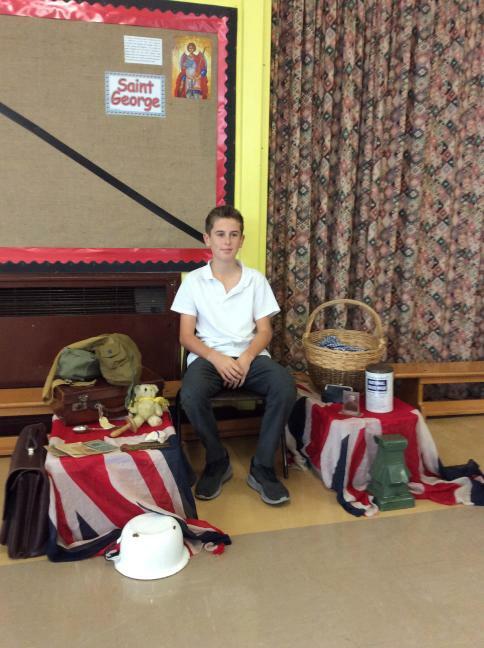 This is another year packed with fun, but also full of hard work ready for the move to high school. 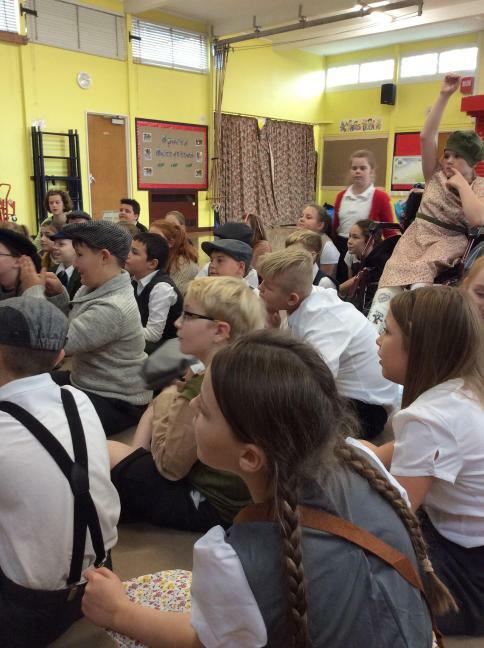 We are really looking forward to joint success and a fabulous year of learning. 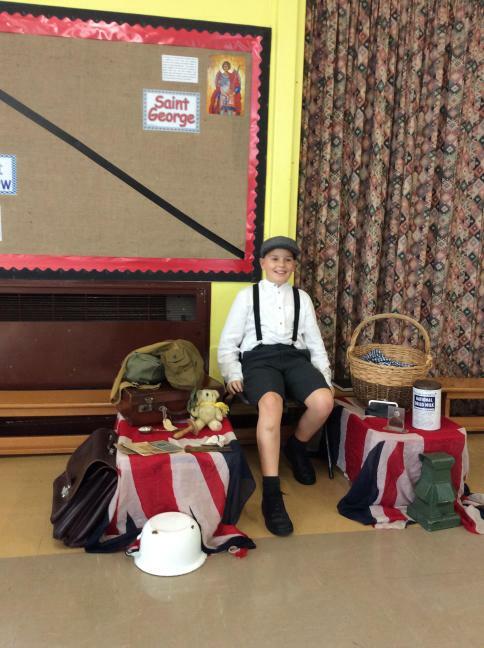 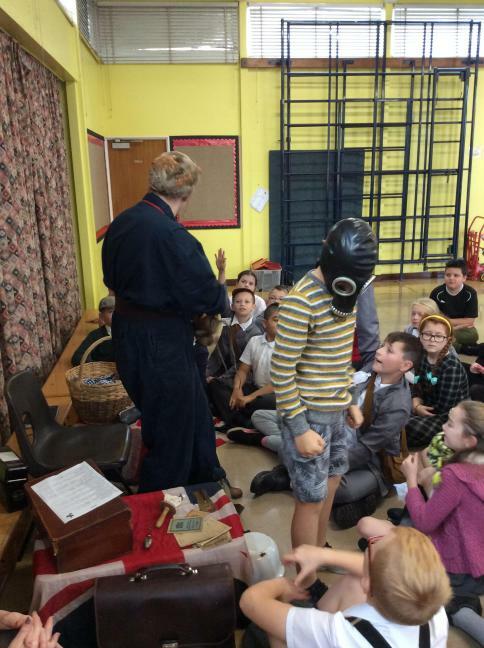 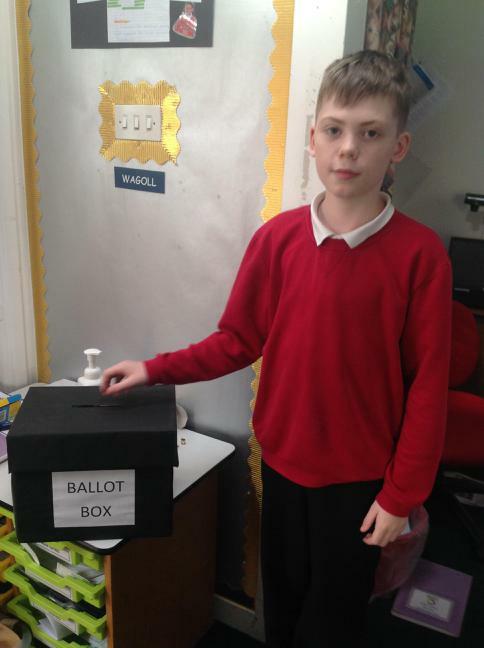 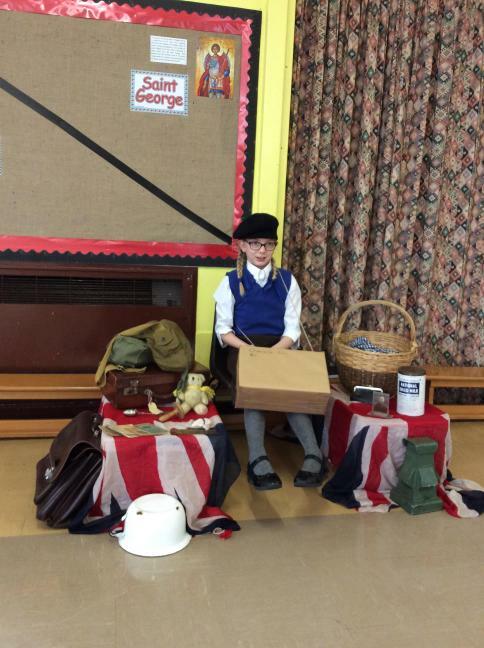 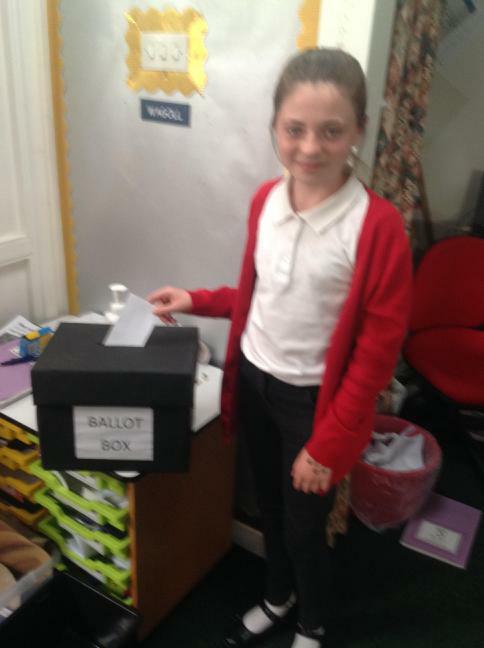 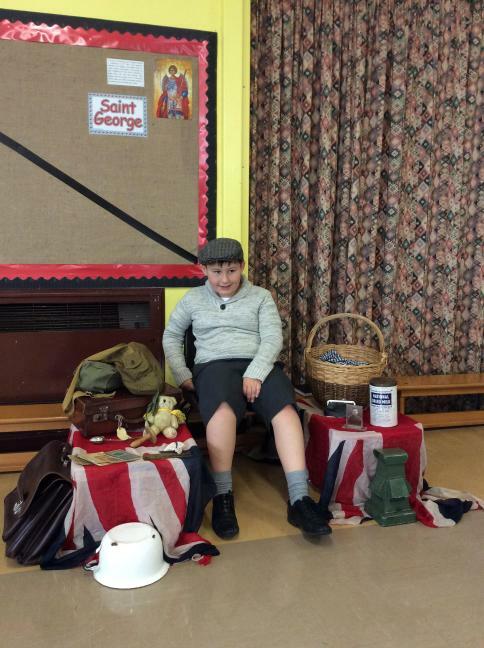 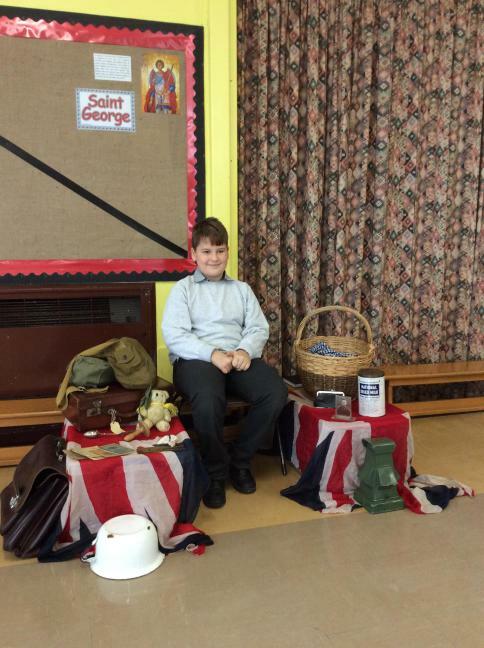 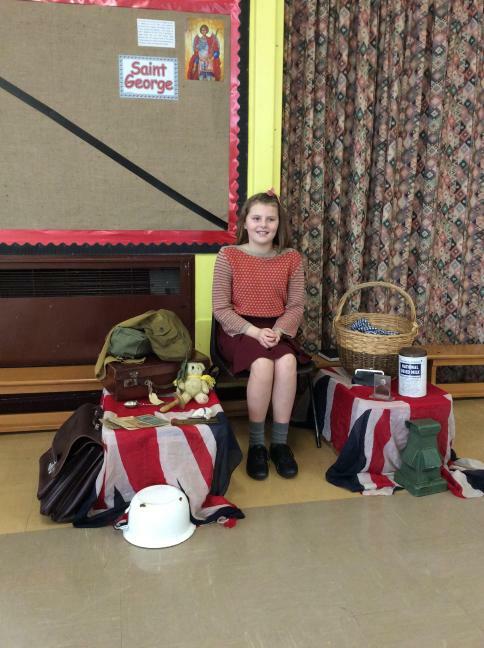 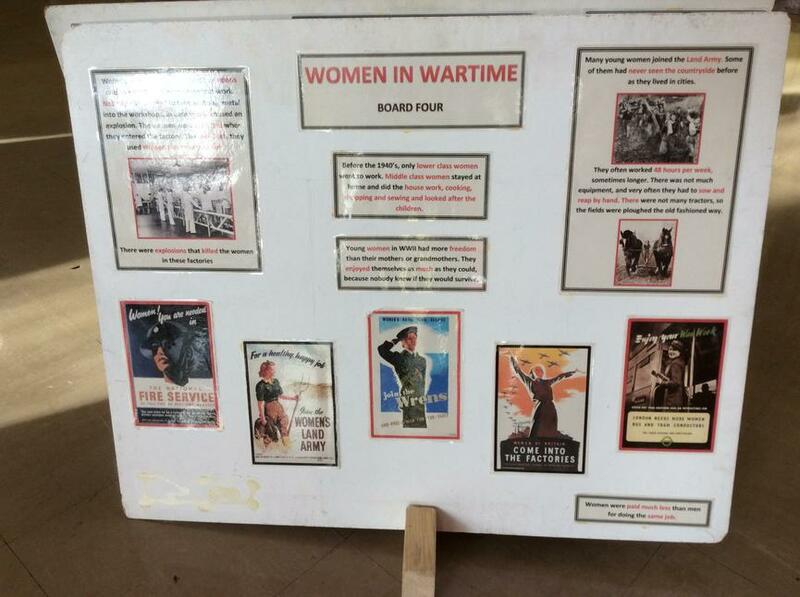 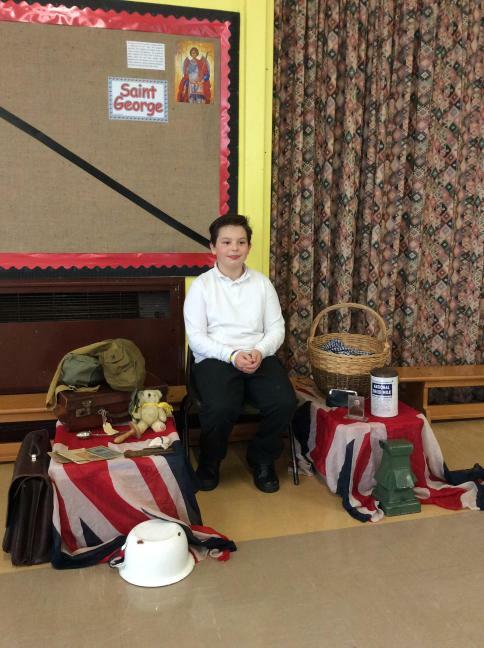 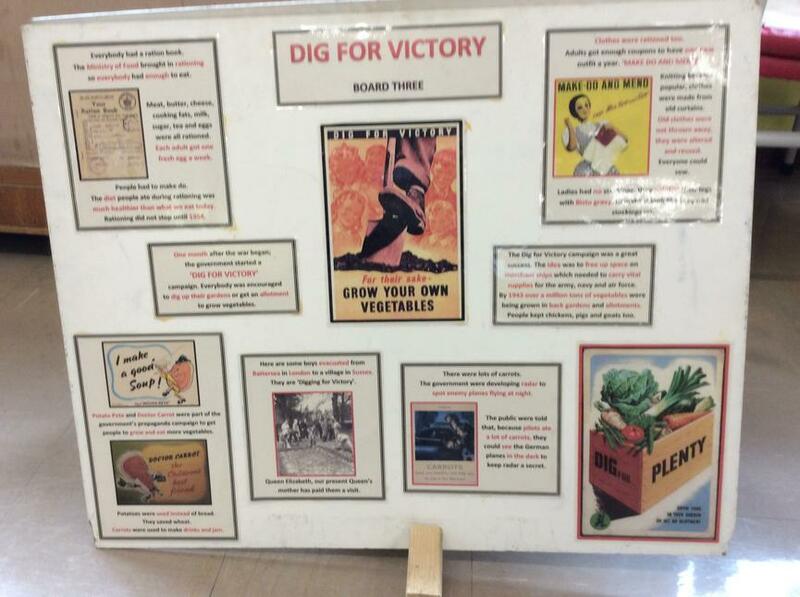 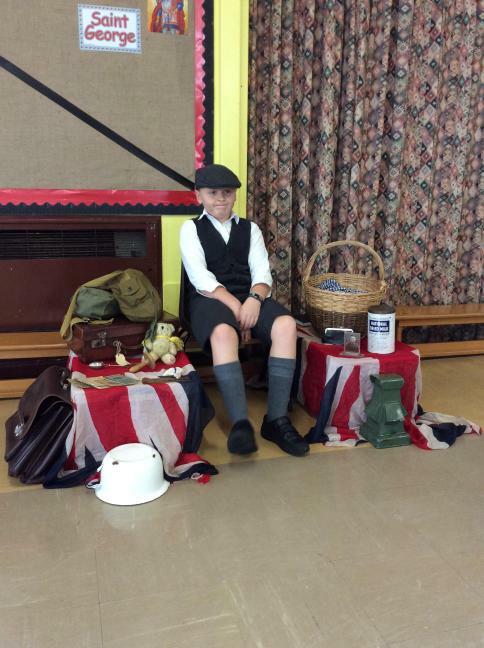 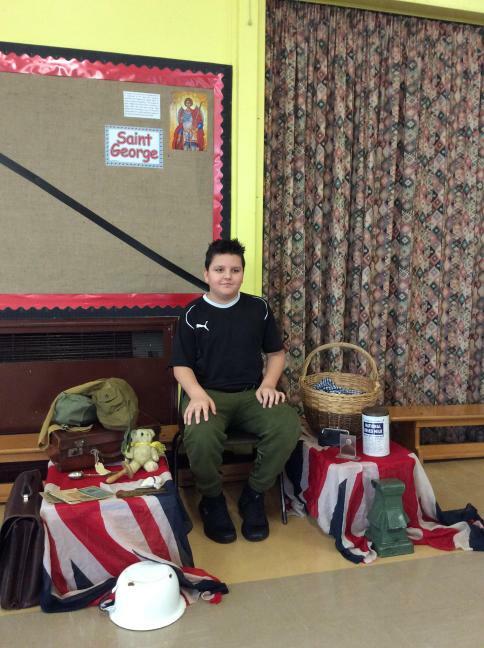 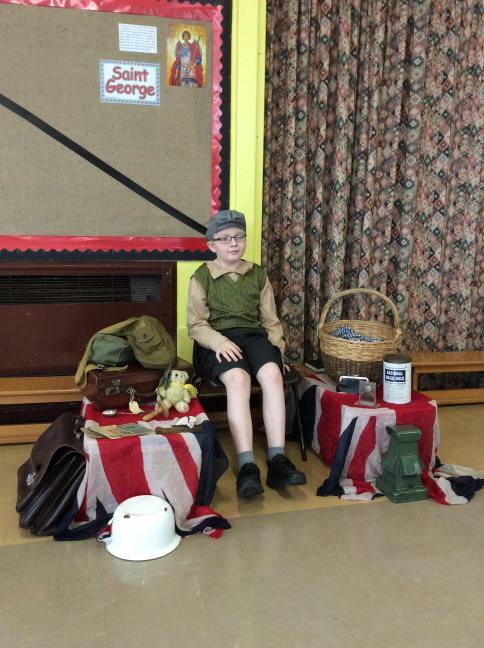 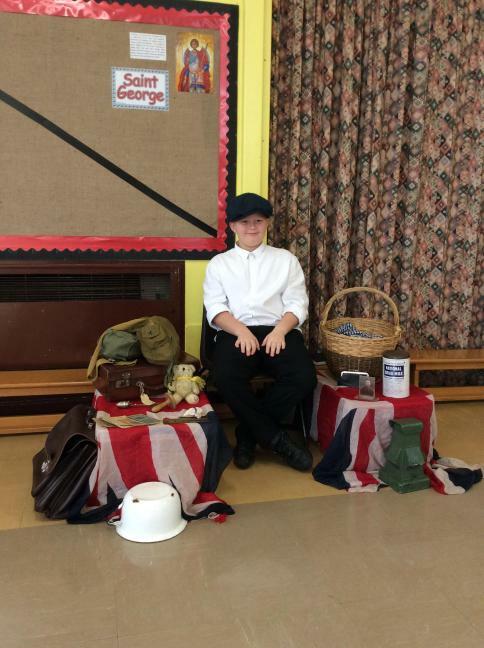 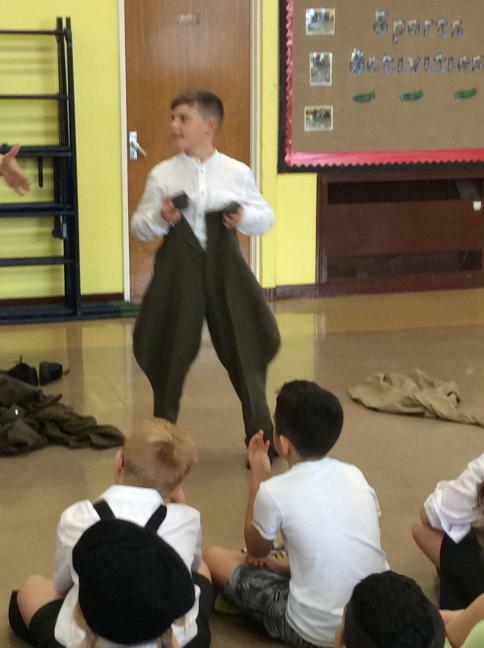 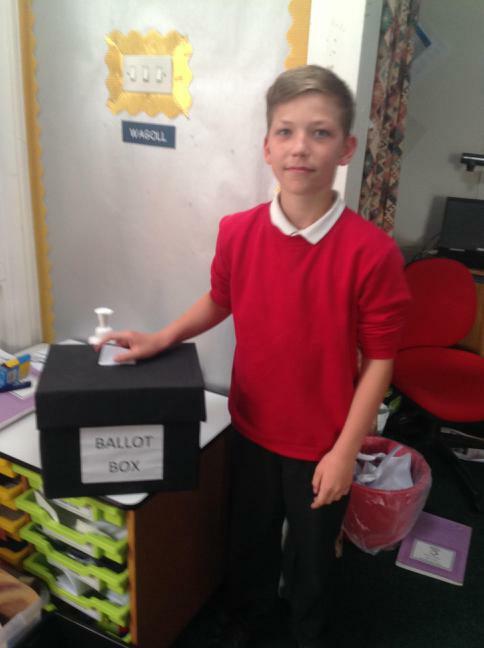 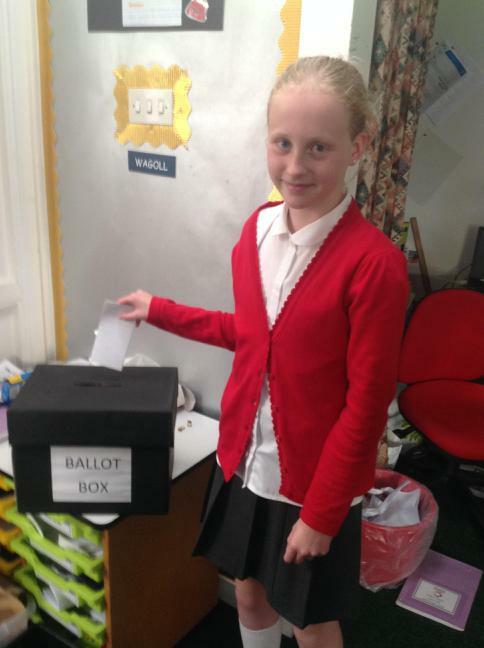 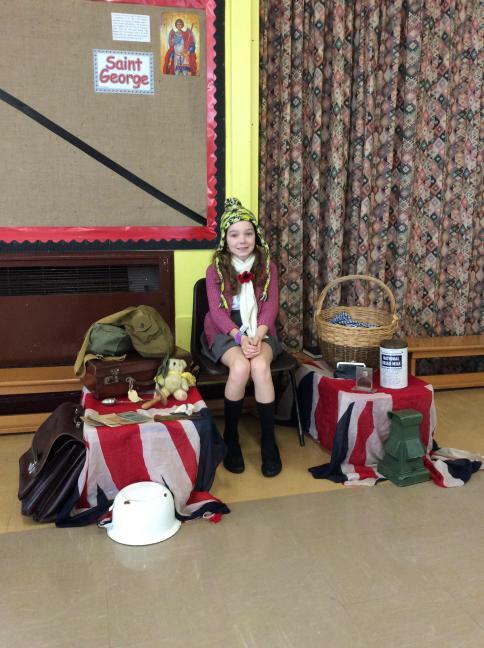 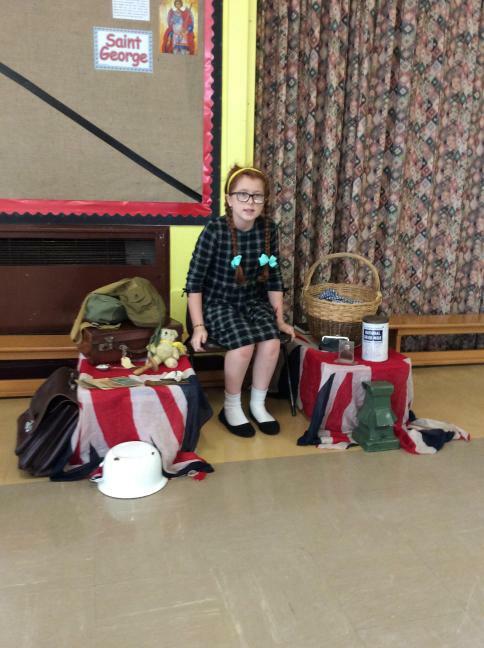 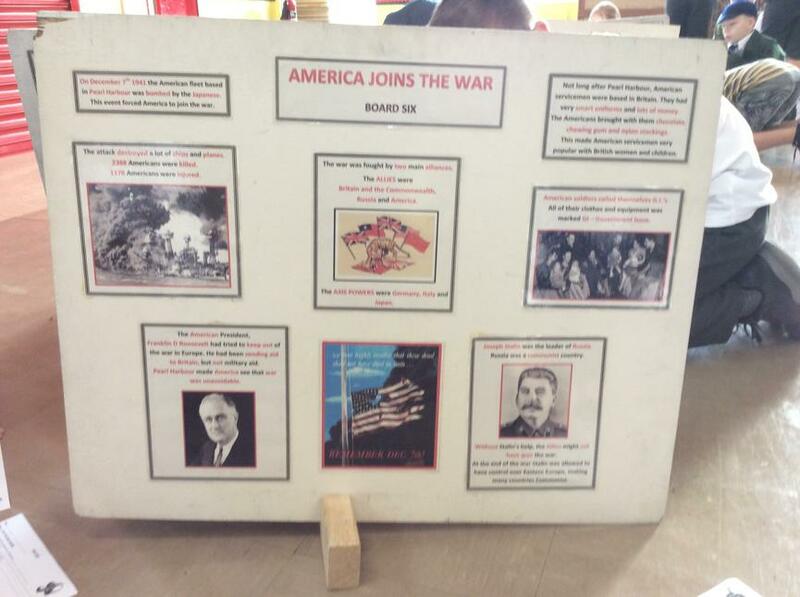 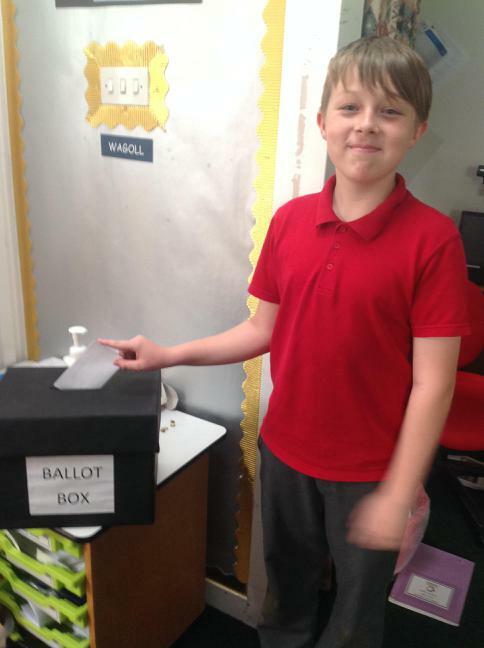 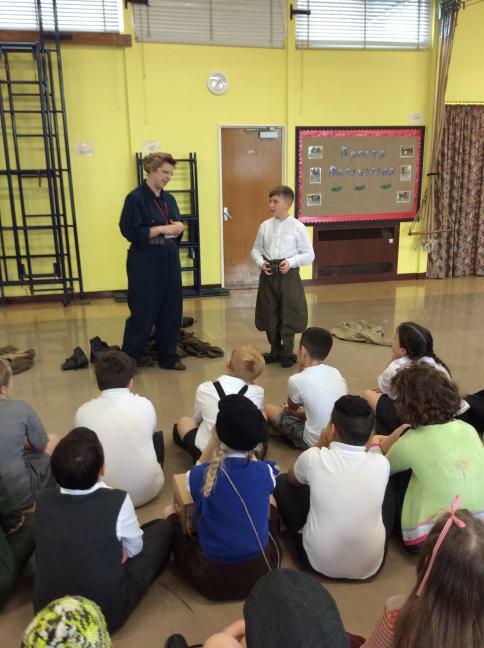 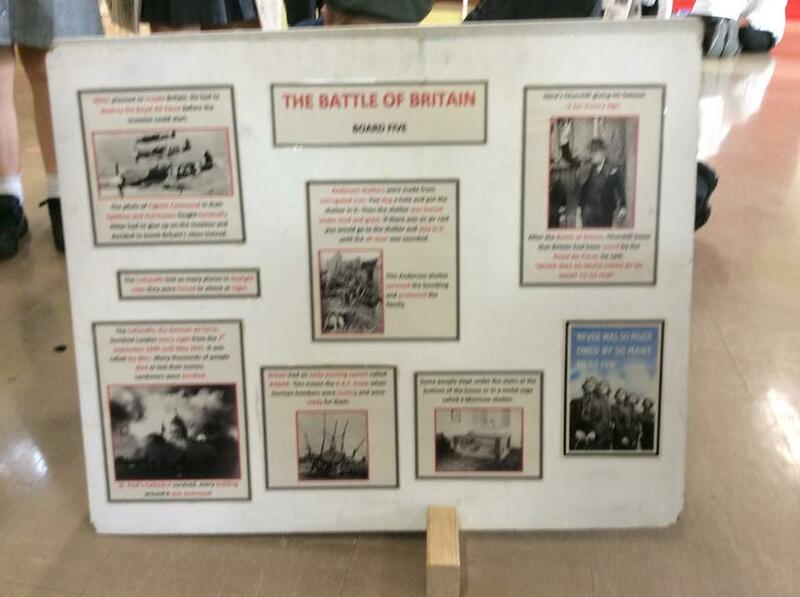 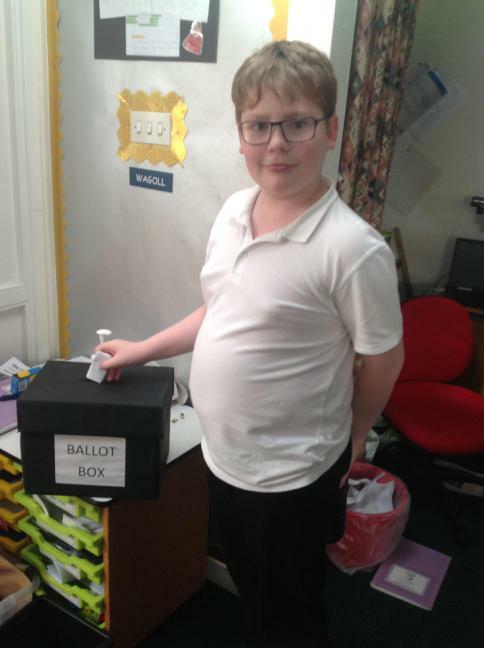 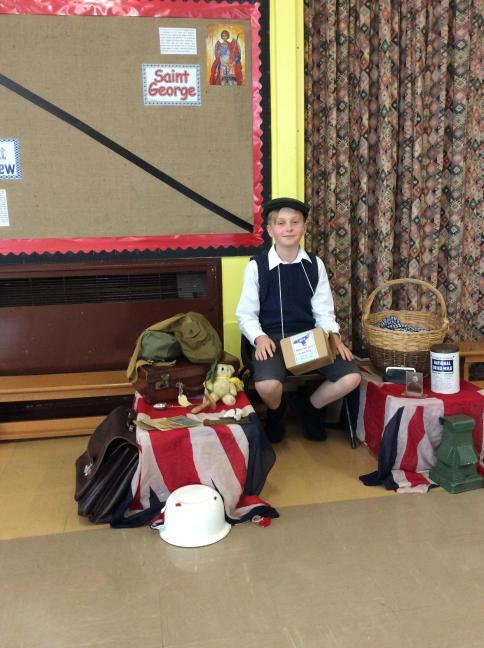 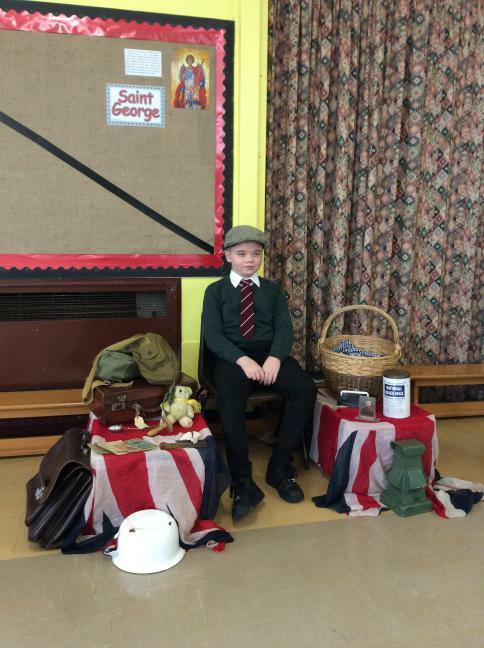 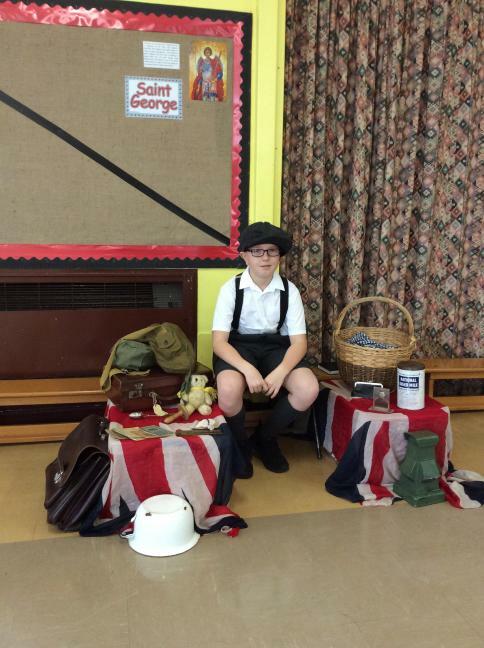 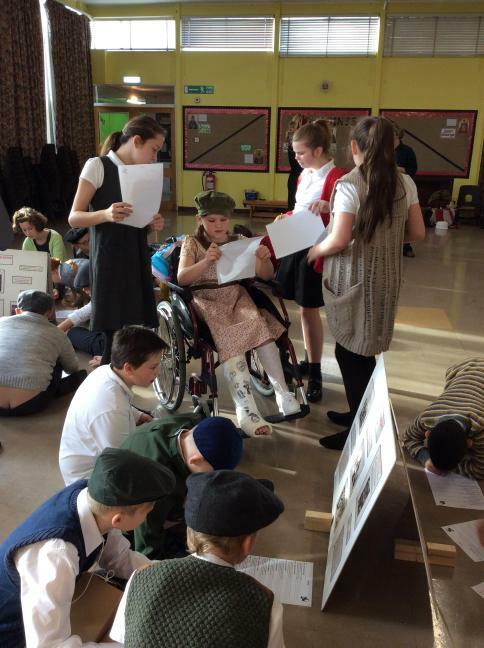 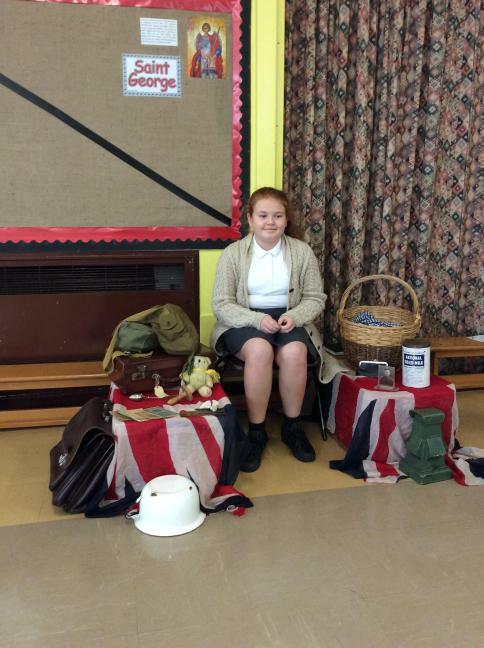 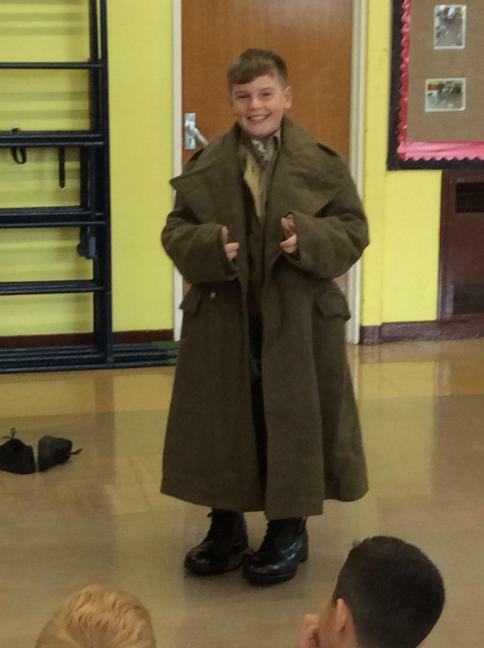 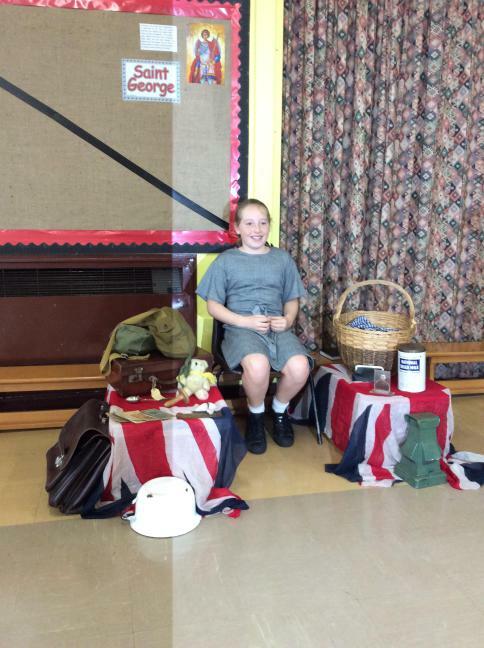 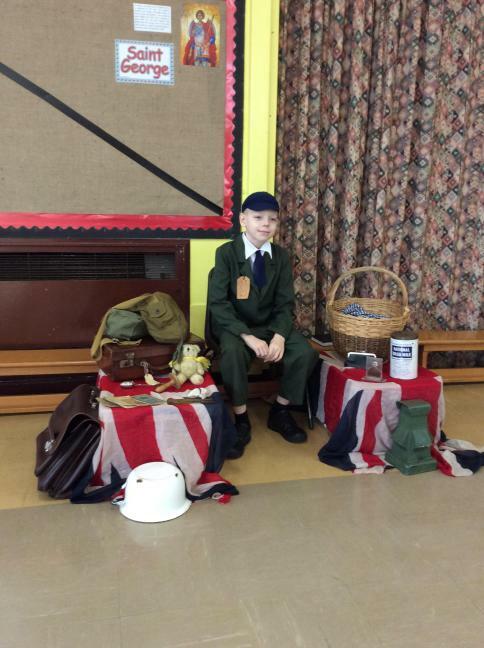 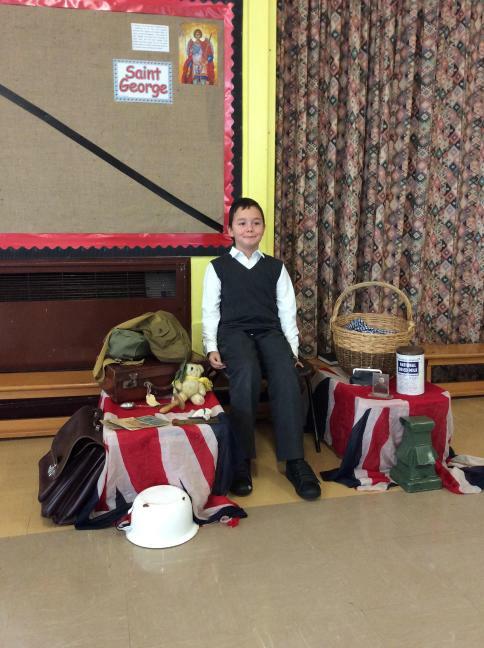 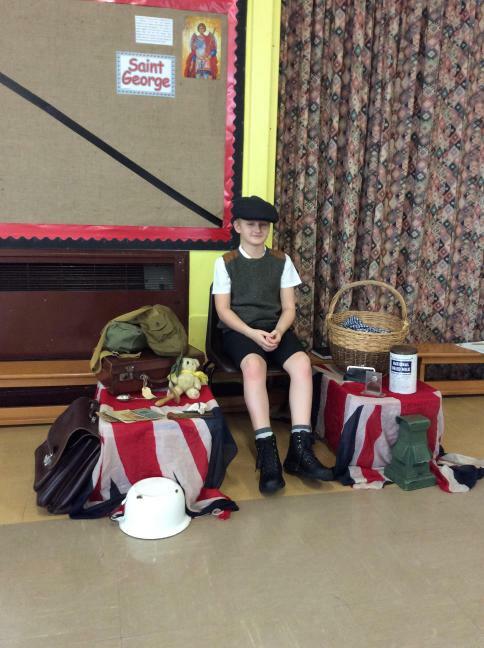 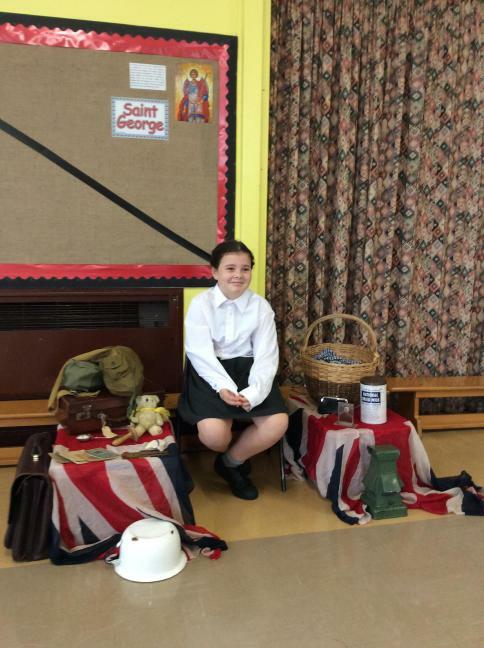 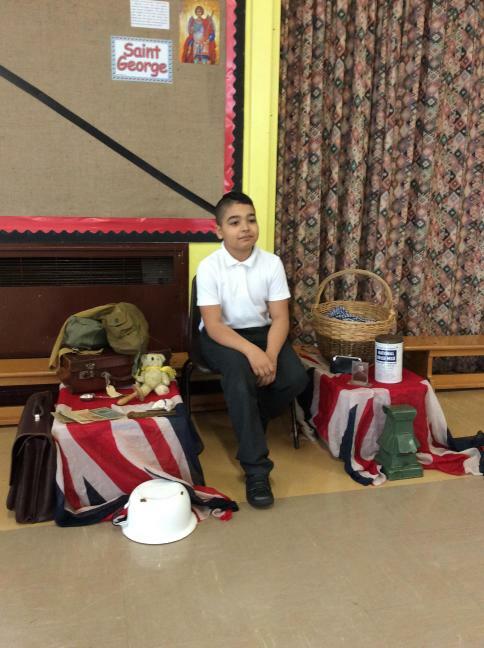 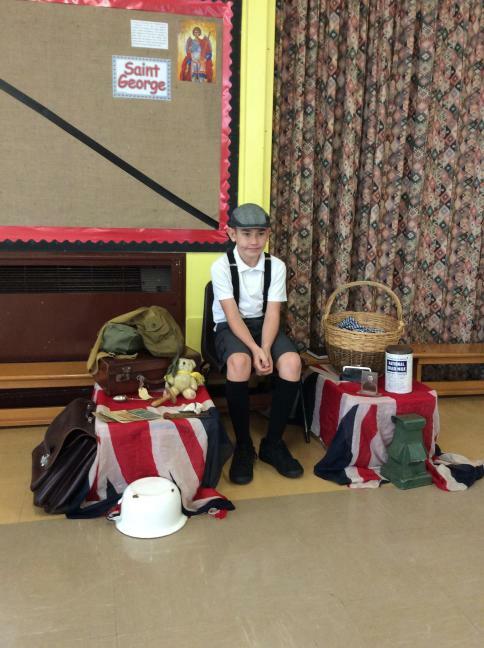 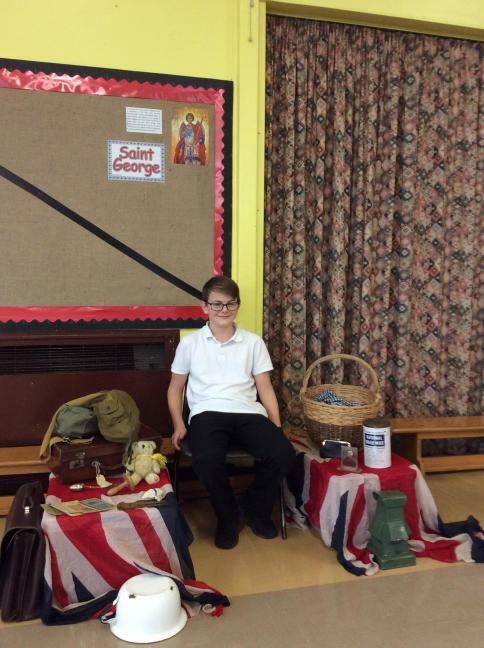 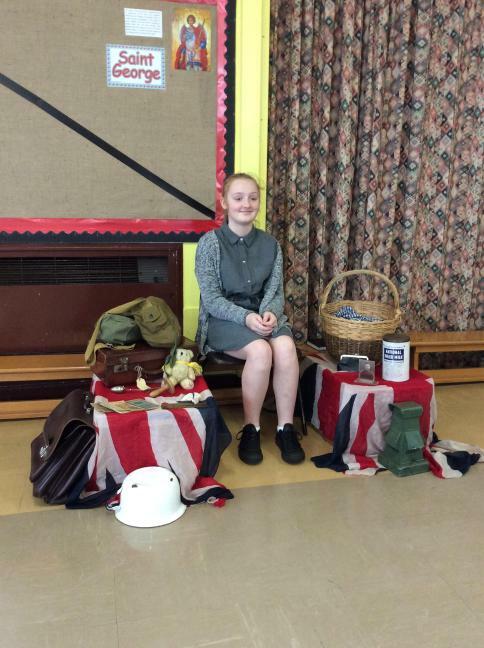 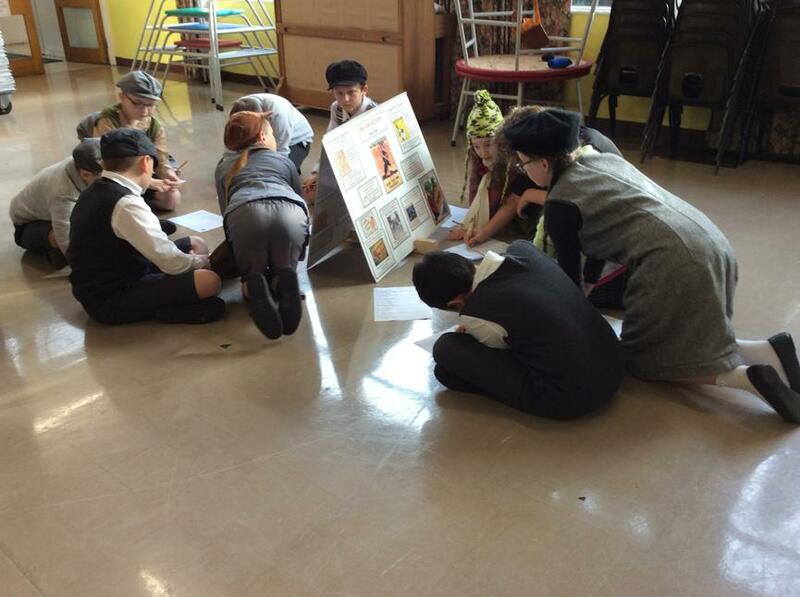 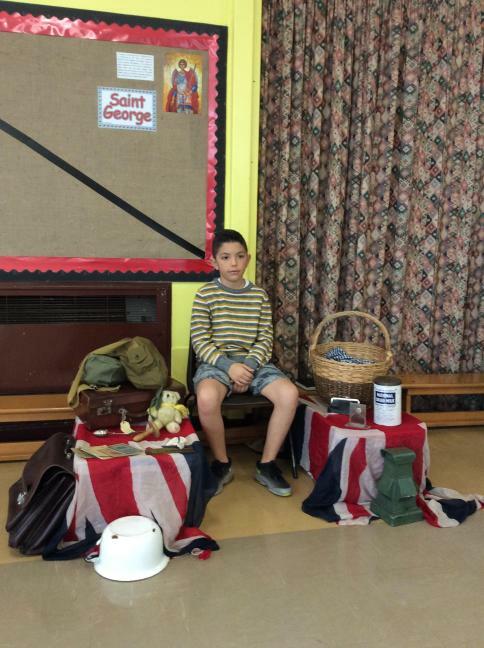 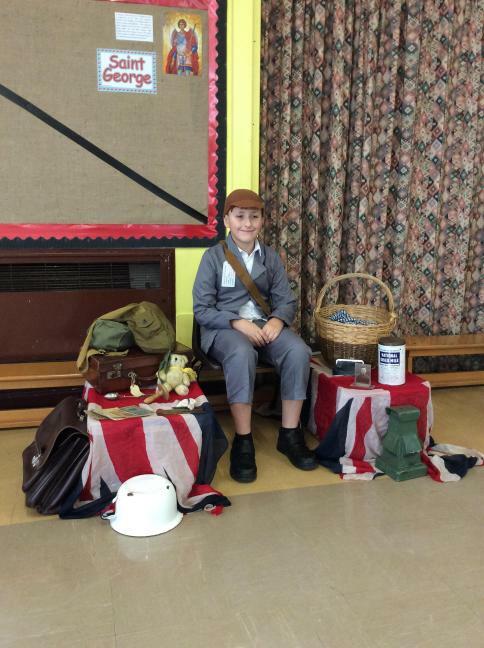 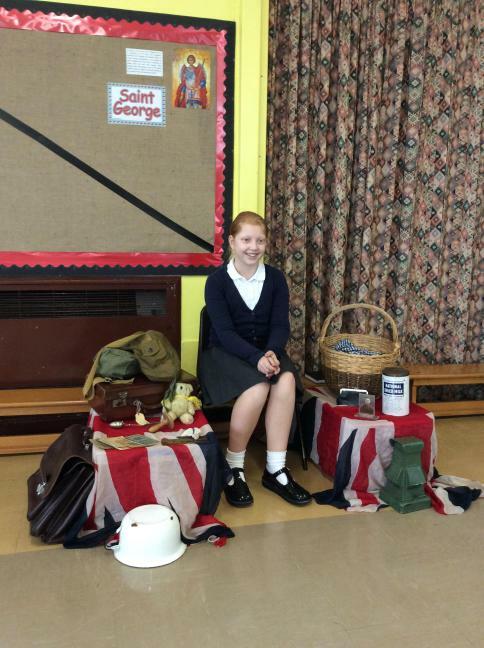 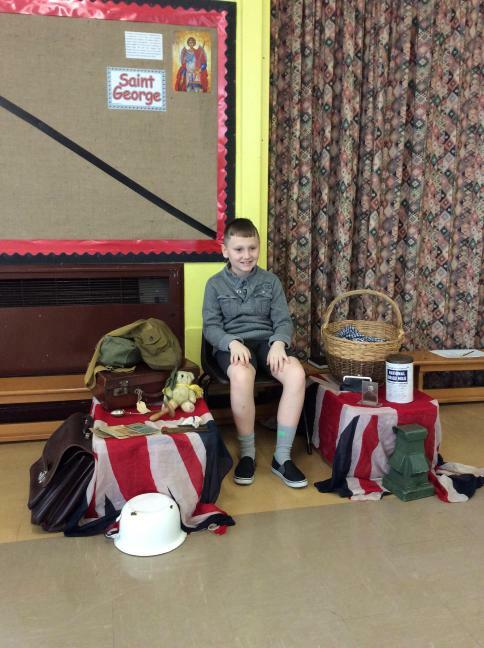 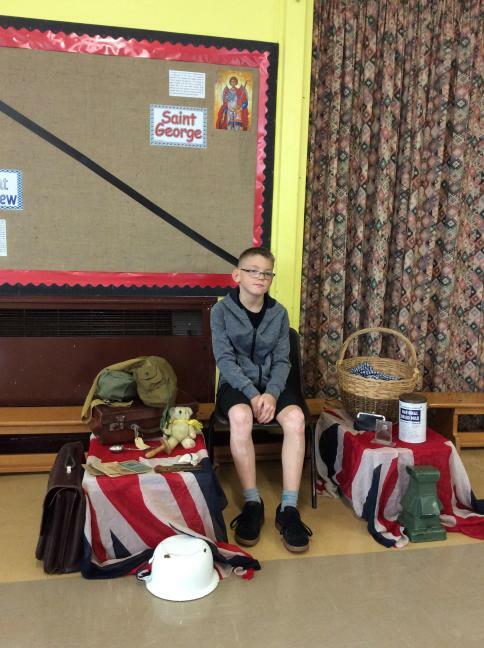 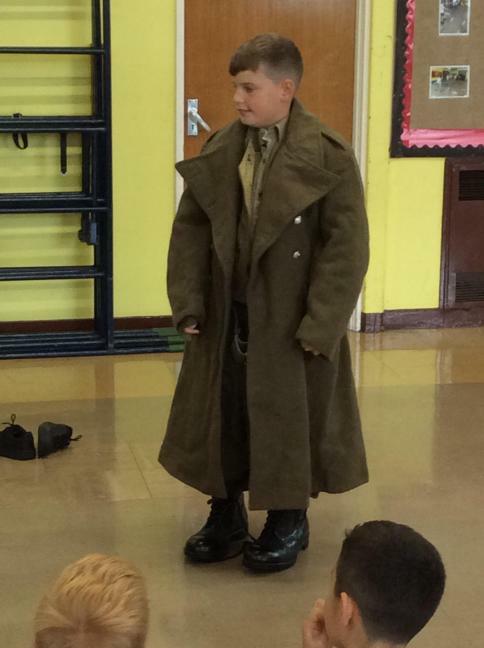 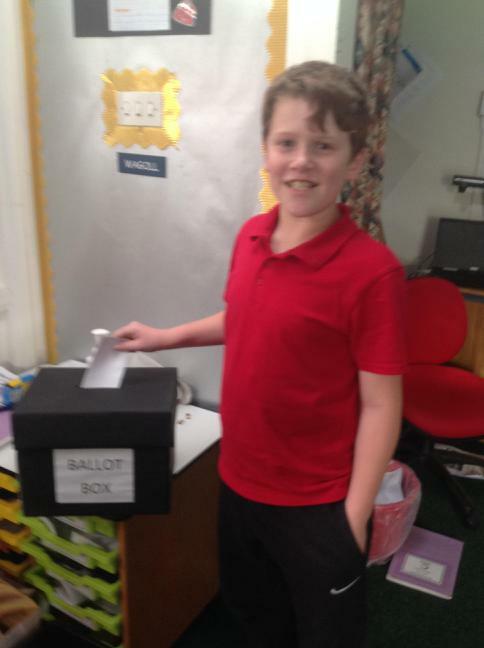 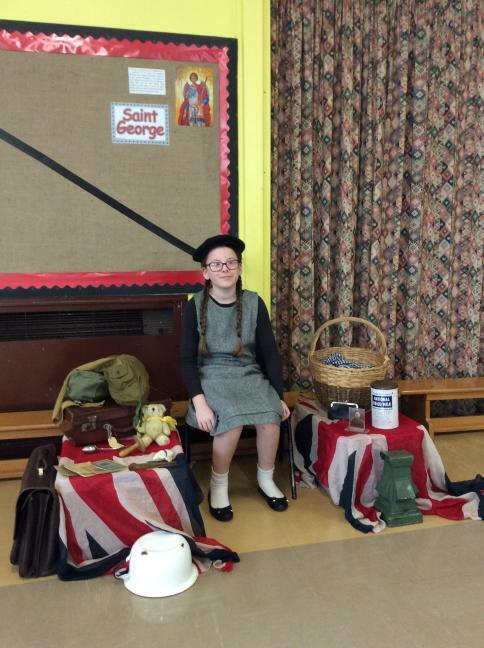 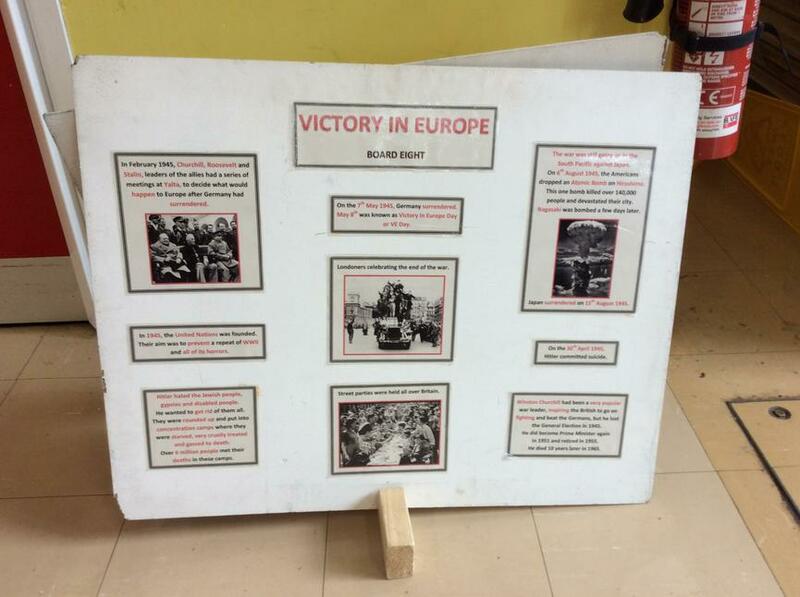 This week Year 6 have been learning all about the World Wars. 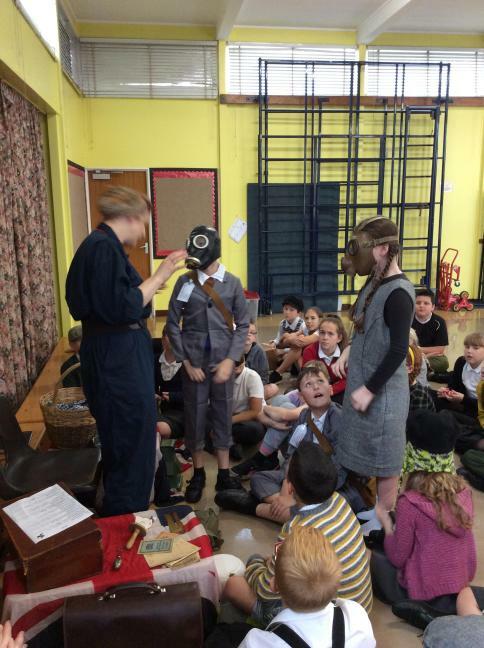 They have discovered what life was life for evacuees on the home front and what food was available because of rationing. 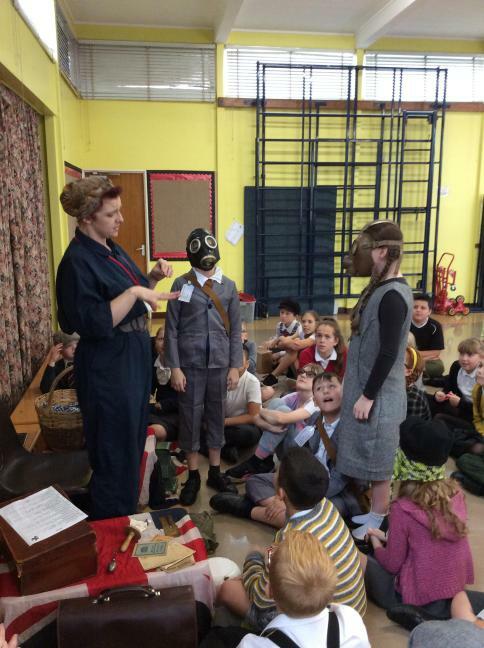 They have even tasted some of the wartime recipes and designed some of their own like - The Meat cake, Chocolate surprise and the Farty Party Cake which consisted of an awful lot of Brussel Sprouts! 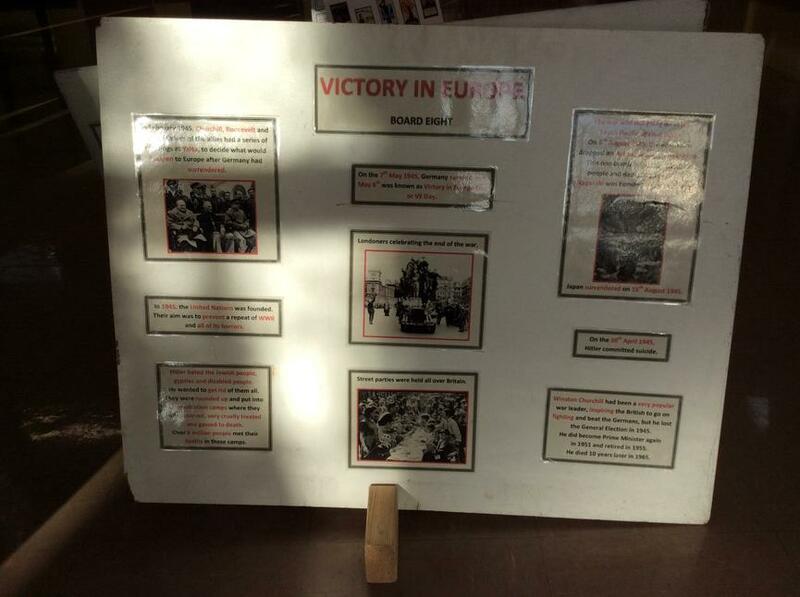 The children have also learnt about the Holocaust and the pain and suffering caused by prejudice. 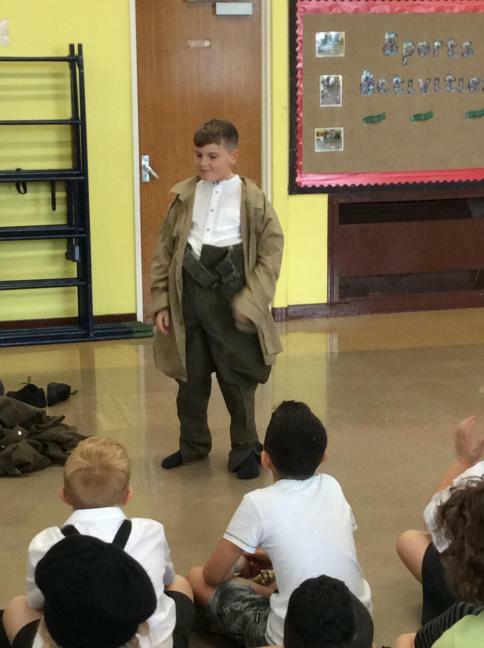 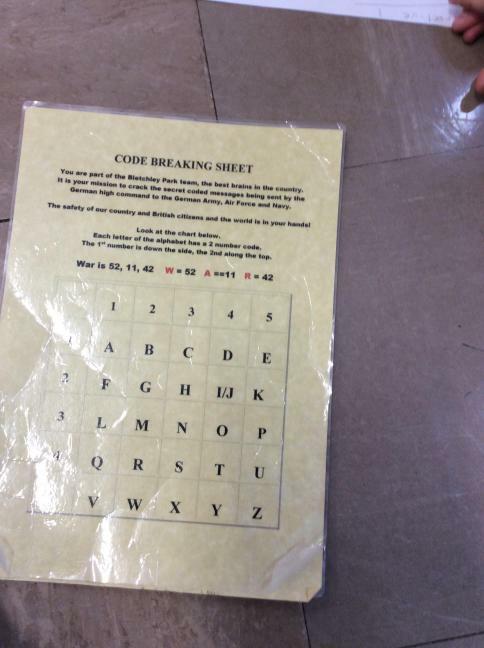 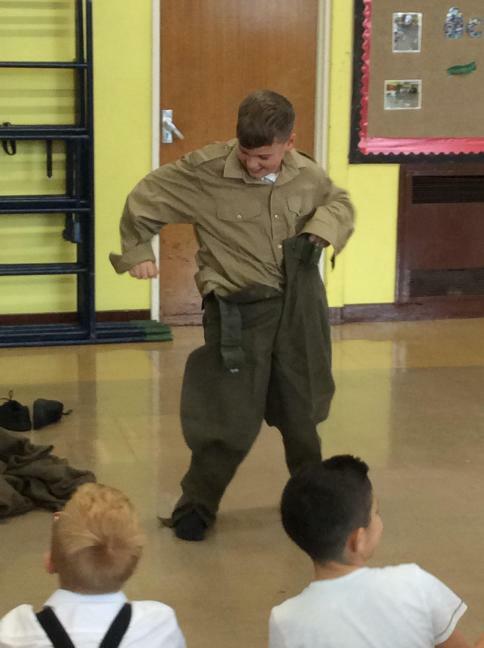 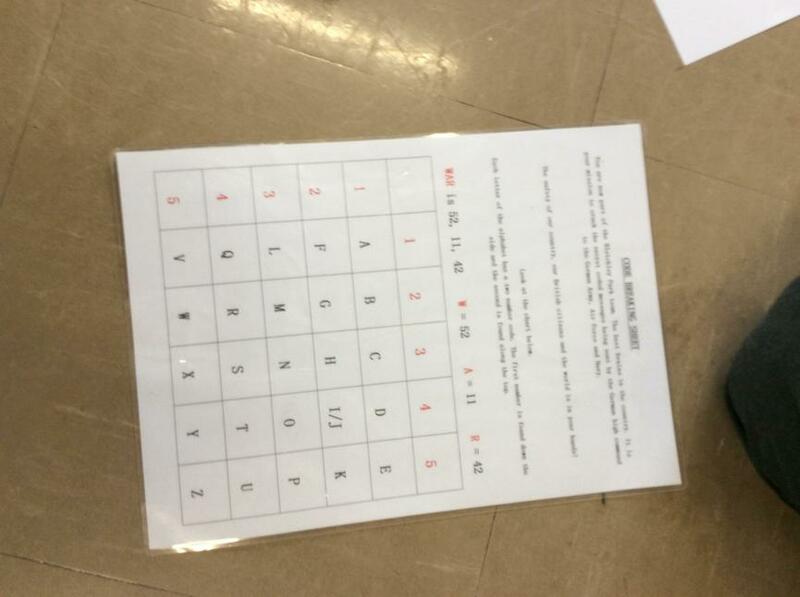 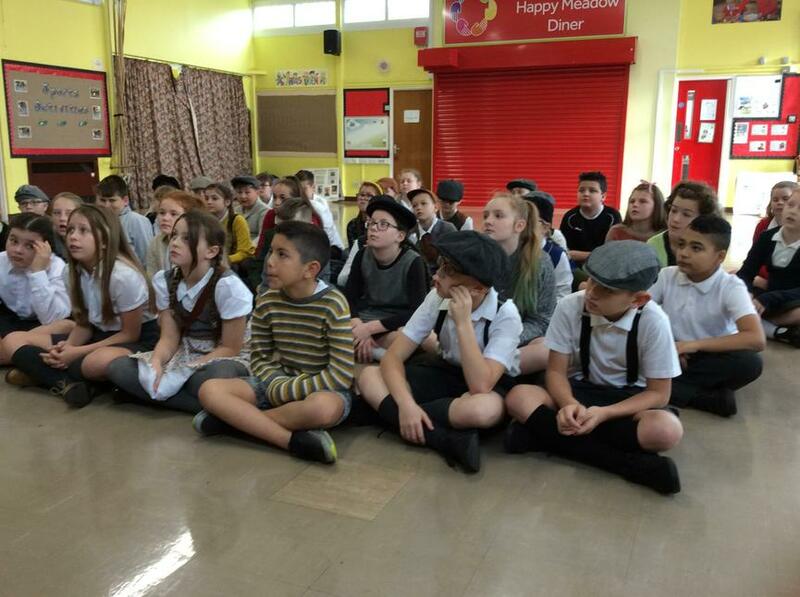 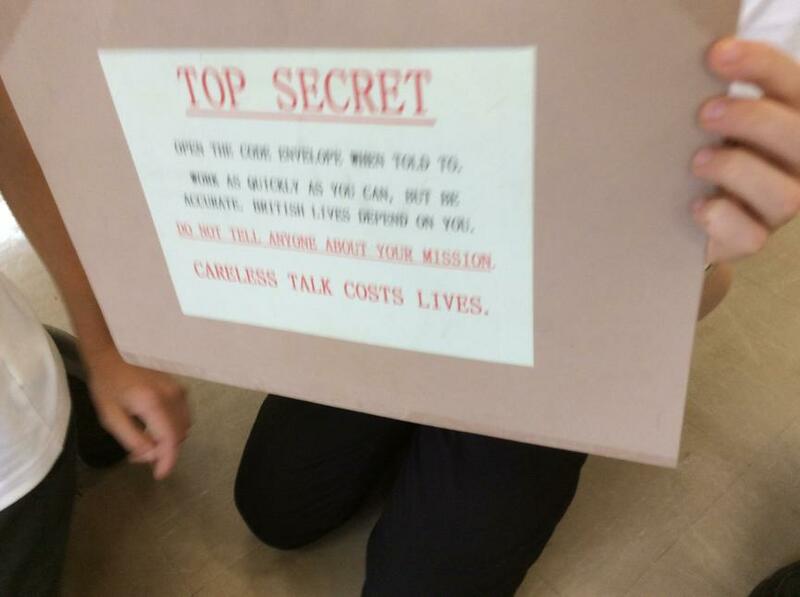 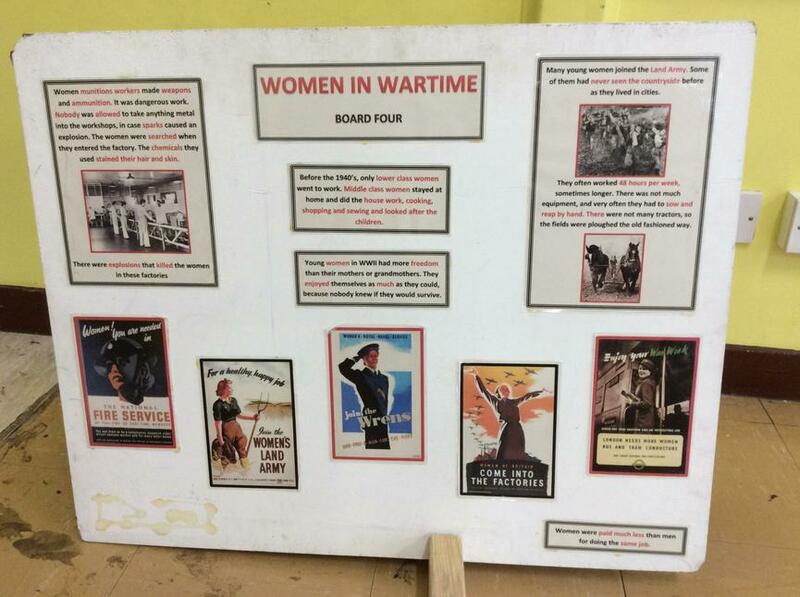 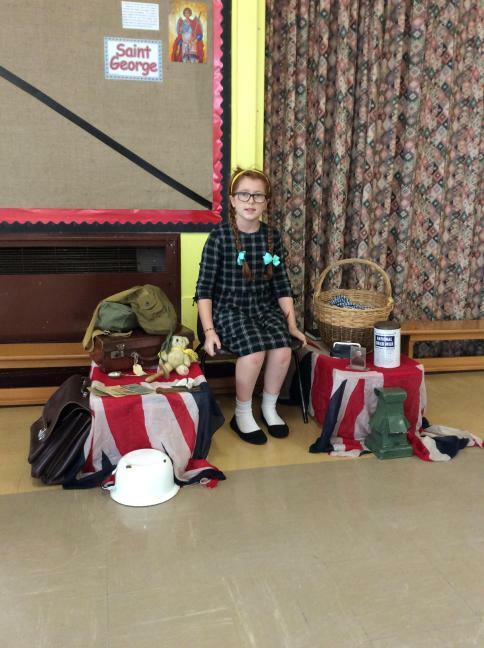 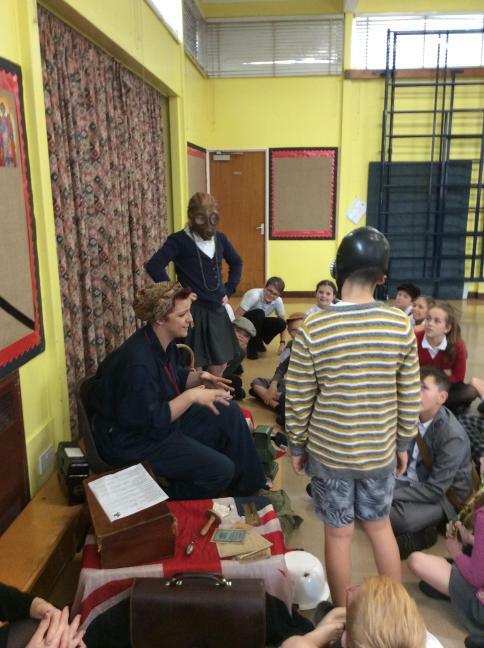 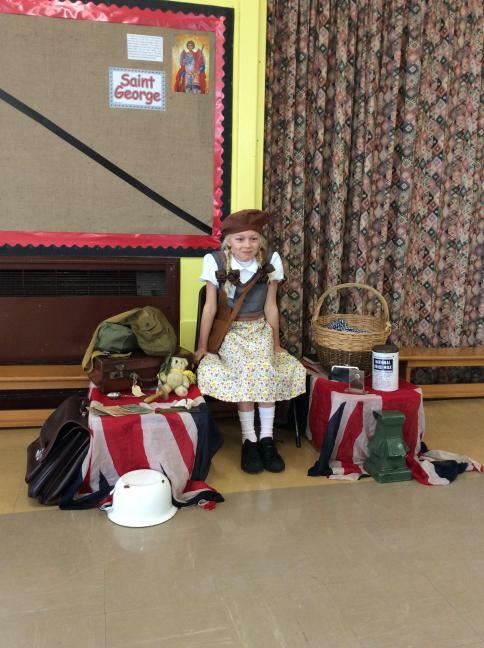 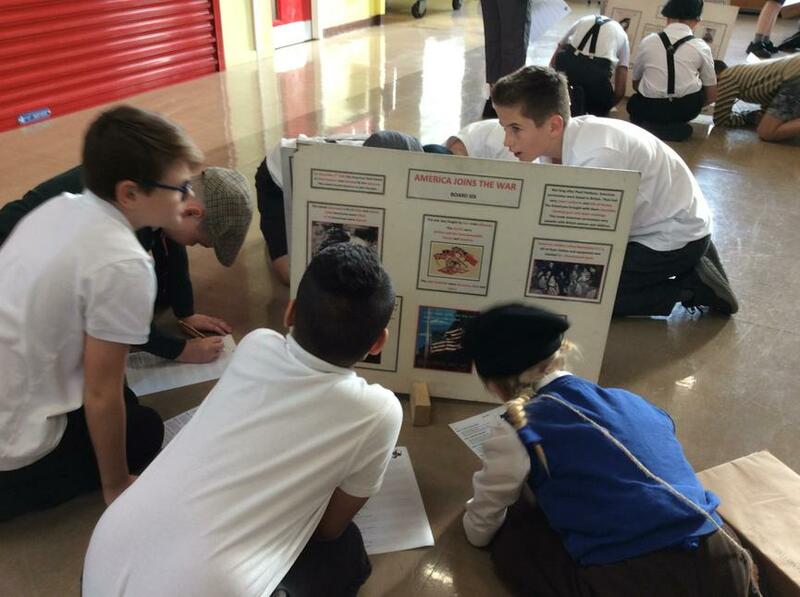 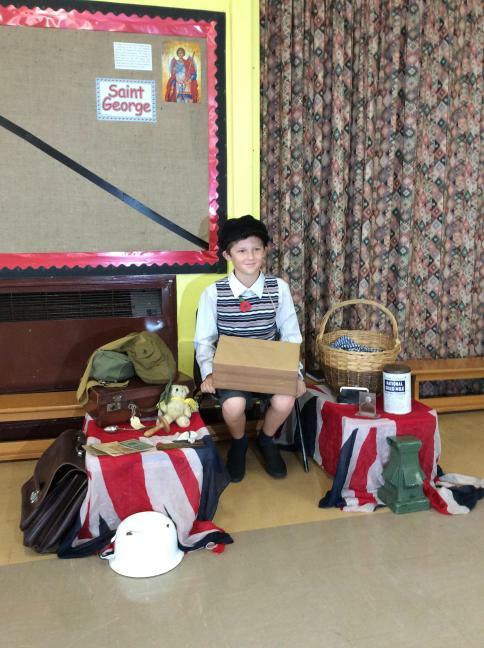 The week finished on a high with a workshop led by Portals to the Past where the children completed a quiz on facts about the WW2, a code breaking session, dressing up and a good old sing song to raise the spirits. 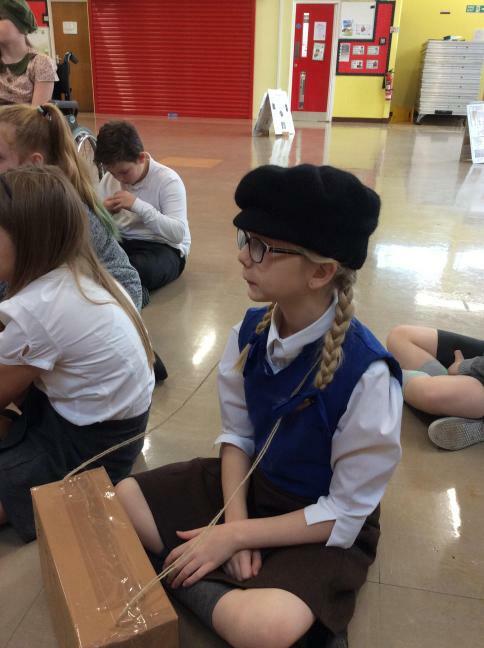 On Friday the whole school commemorated the centenary of the Armistice with a poppy sculpture at the entrance to the school and KS1 placed remembrance stones at the memorial in Atherstone, whilst KS2 wrote thank you letters to the fallen of Atherstone and planted a cross in each soldier's name. 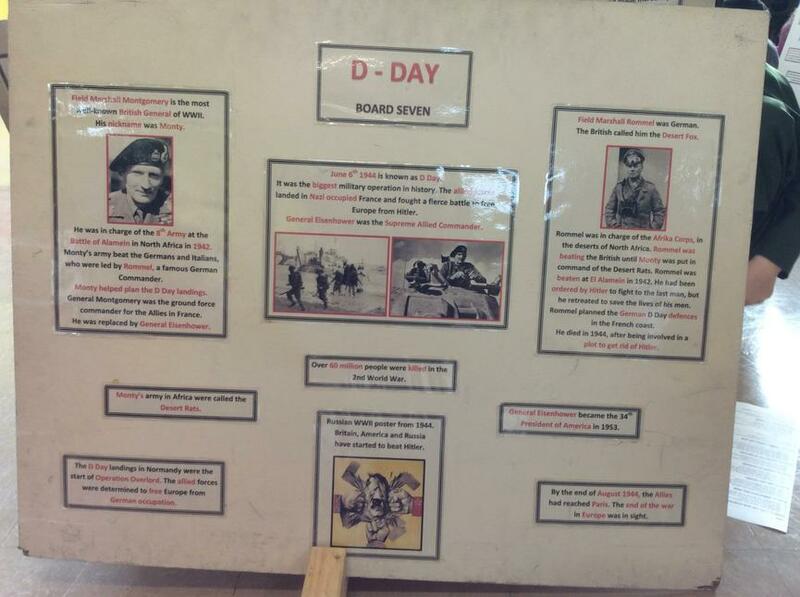 We will remember them. 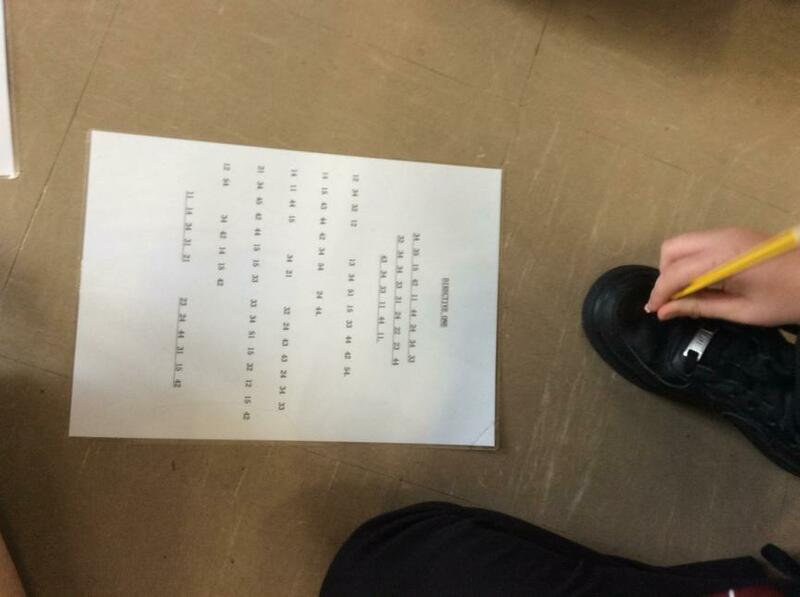 Summer is upon us and we are prepared for our Statutory Assessment tests which will start on the 8th May. 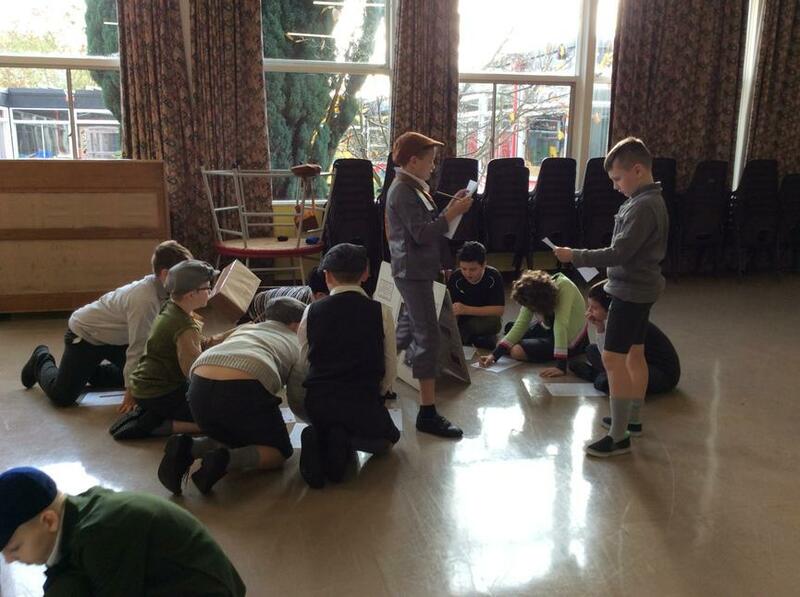 At the end of the week we are looking forward to our Space camp overnight on the 11th May where we will be training to be an astronaut, star gazing, constellation making and setting of bottle rockets!!! 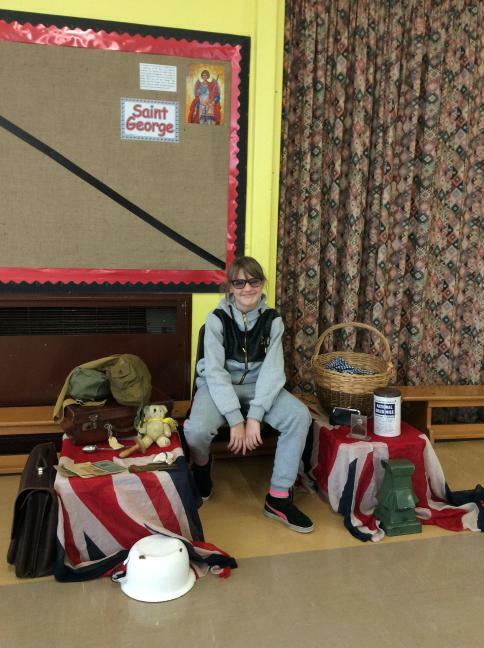 Our new telescopes, tents and sleeping bags will all come in useful and we have also been given a super sized telescope so we can gaze into distant galaxies. 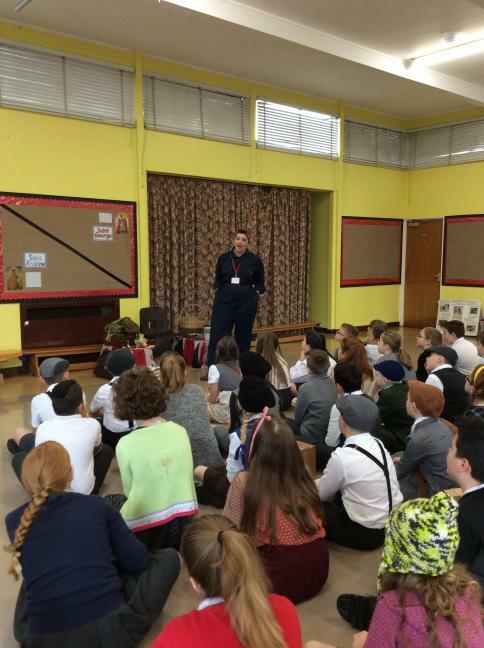 Finally, on Friday 12th we are extremely lucky to be visited by Michael Foale - former Nasa Astronaut who will be talking to our Year 6 and Year 5 children. 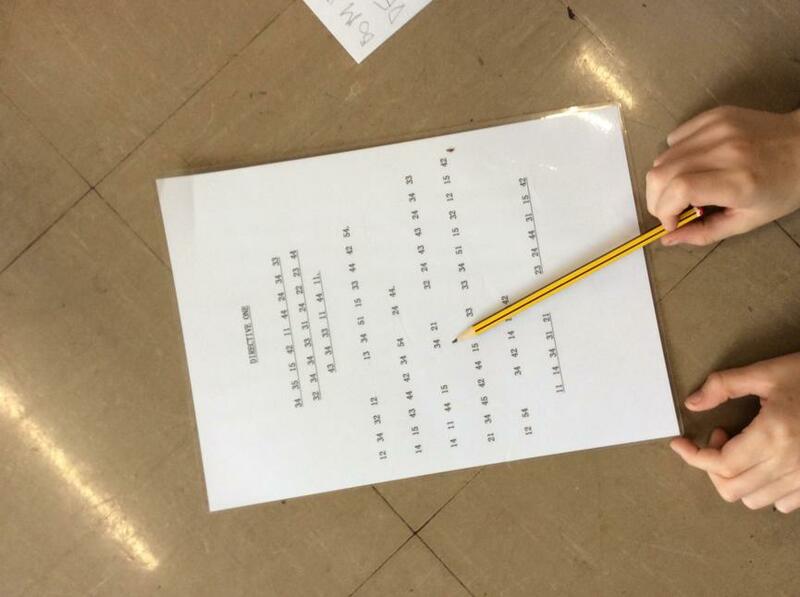 This term we are learning all about the planets and the stars. 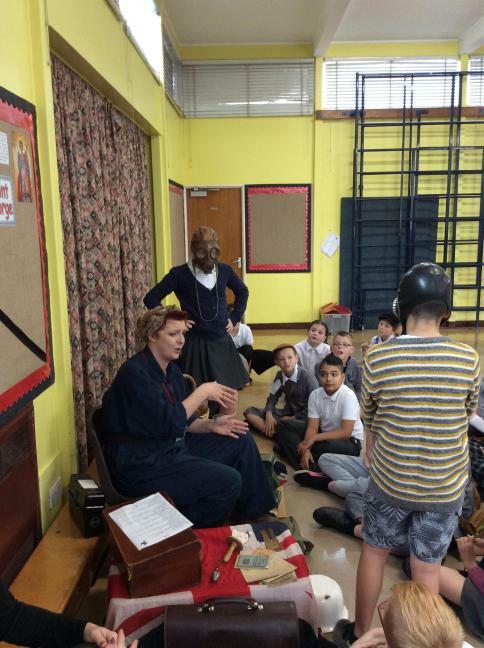 We had a fabulous day last Monday when a planetarium visited school and we felt like we had been transported into outer space! 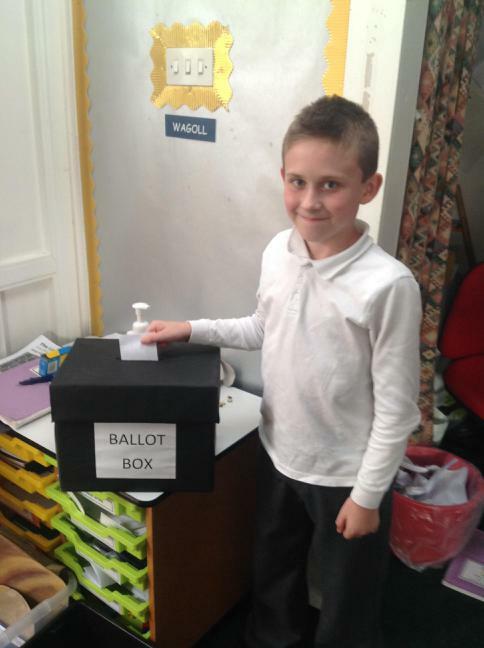 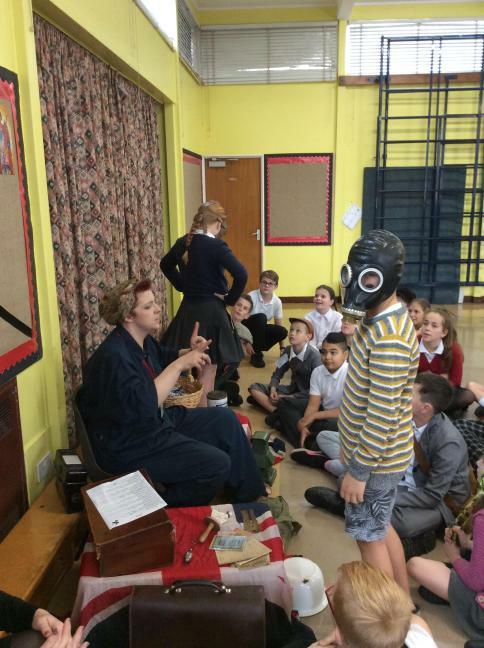 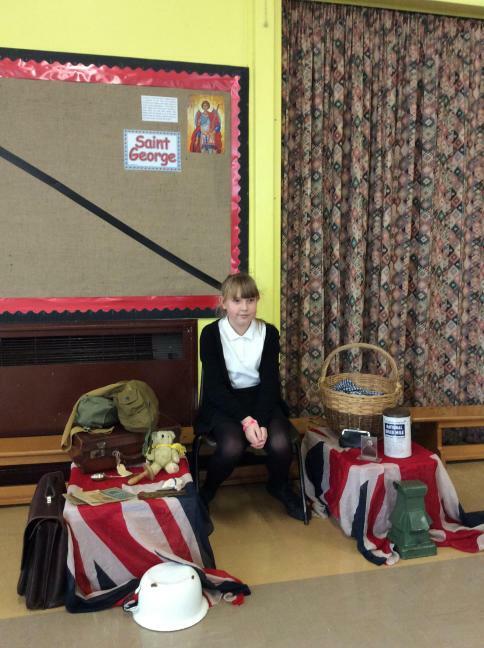 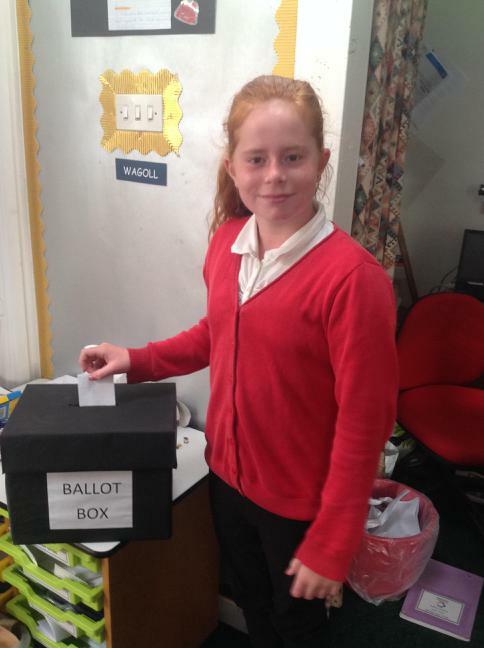 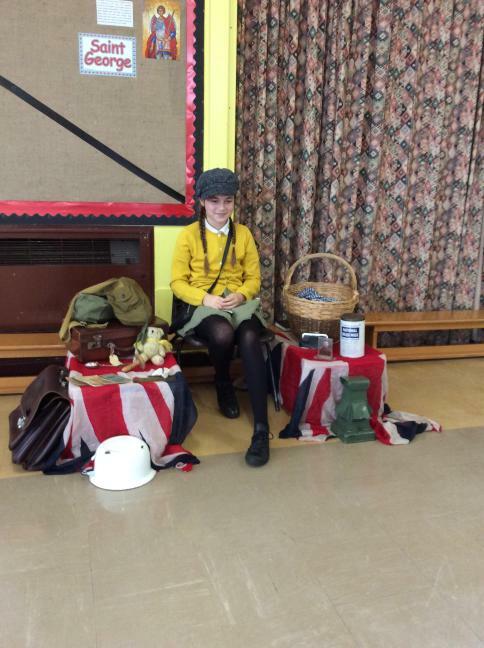 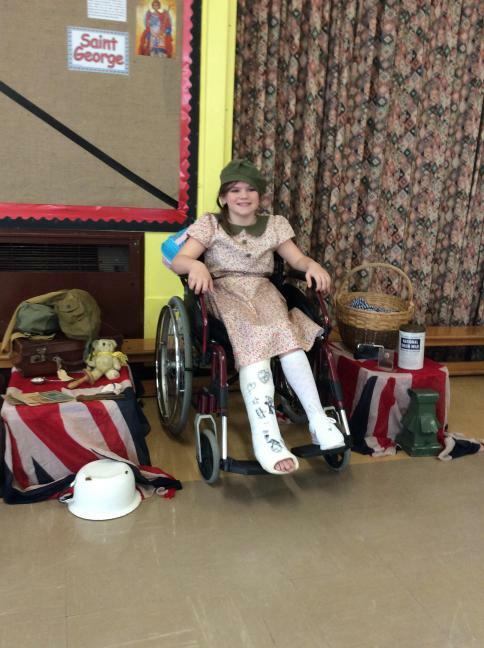 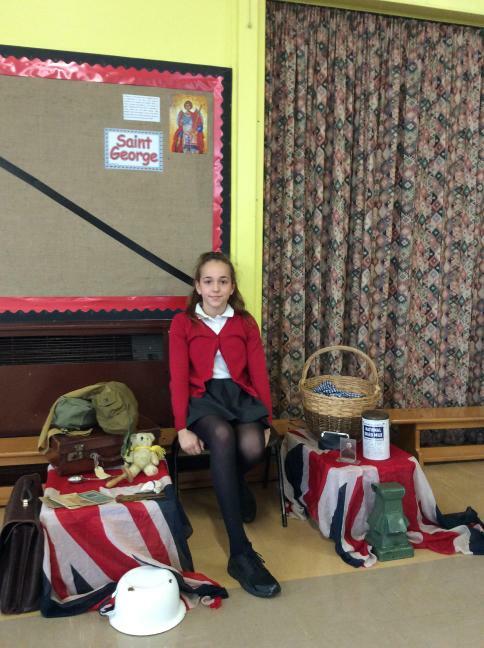 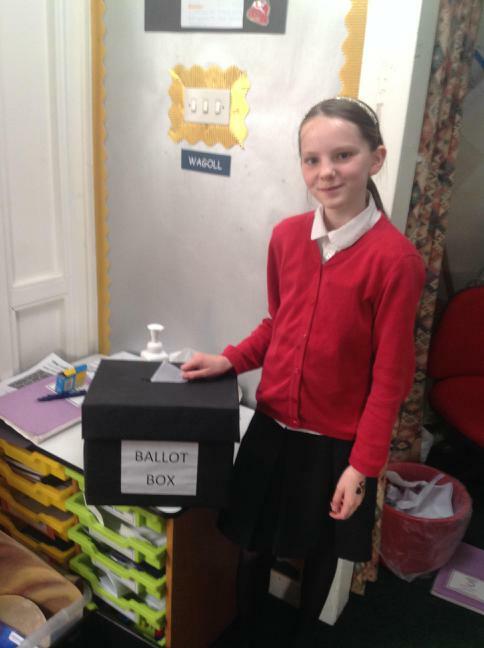 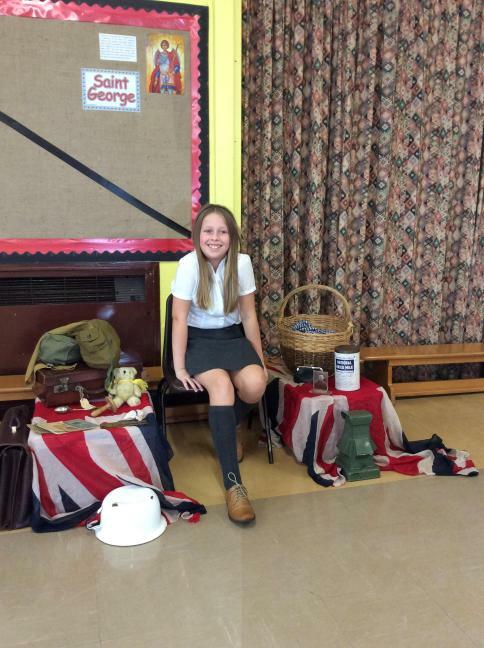 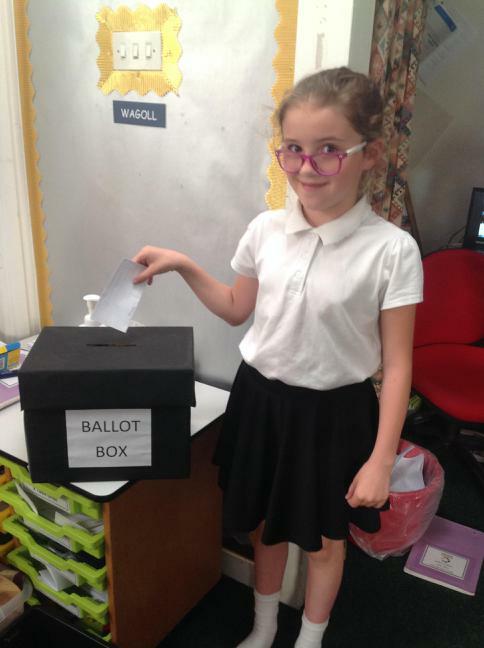 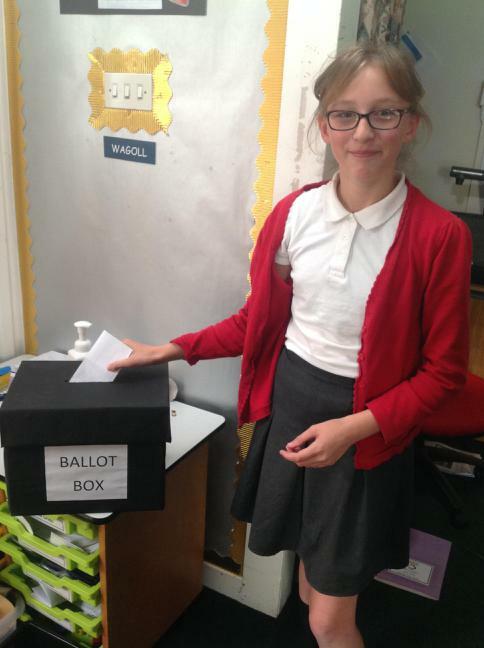 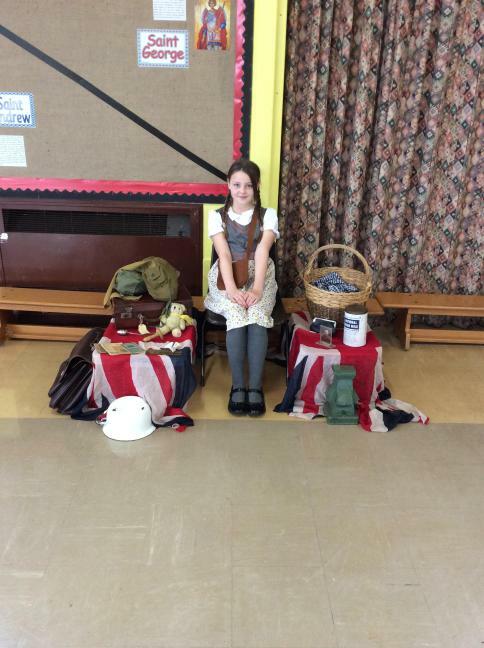 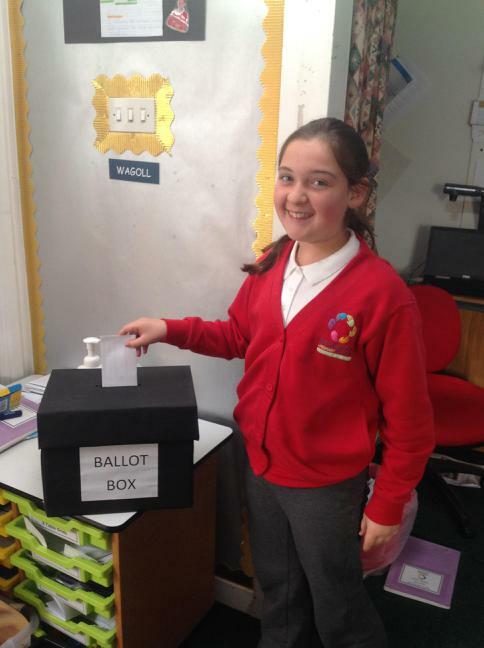 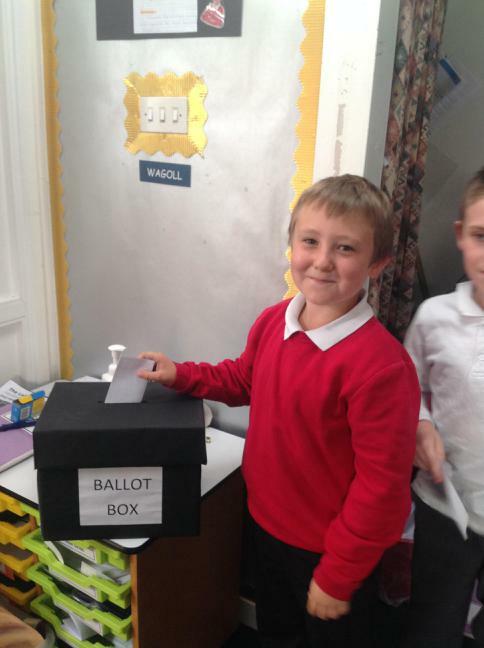 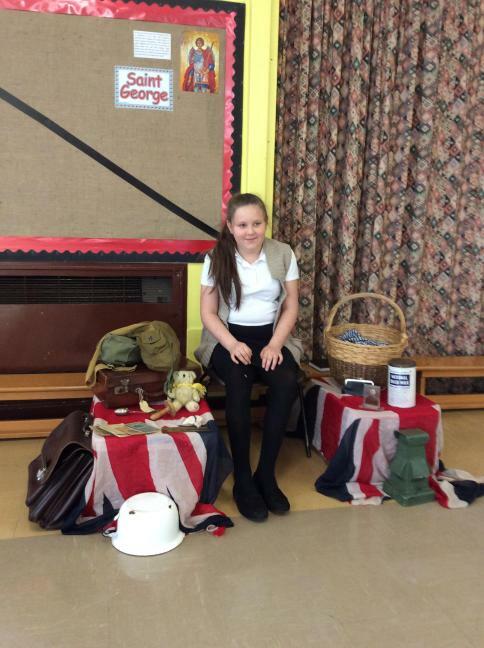 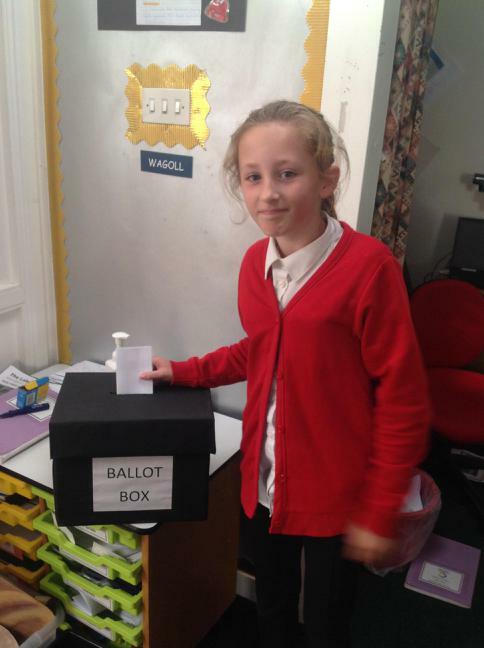 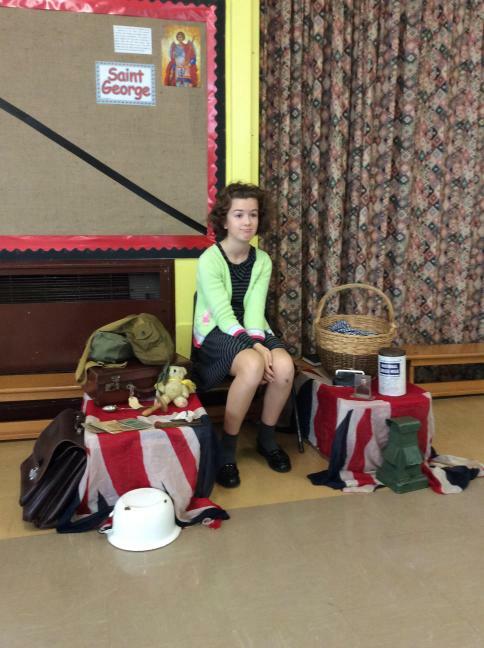 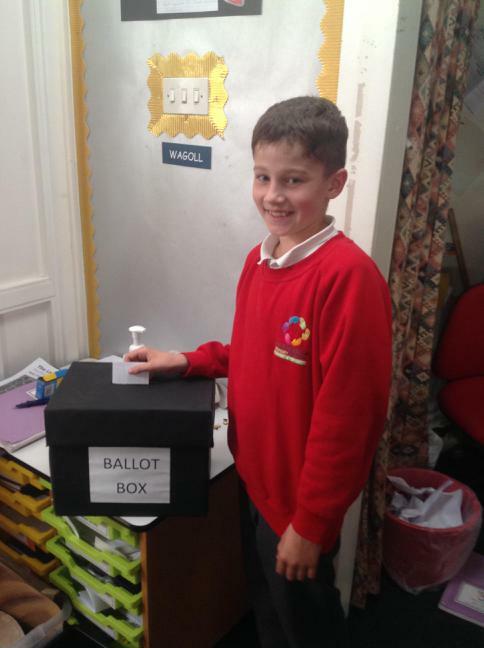 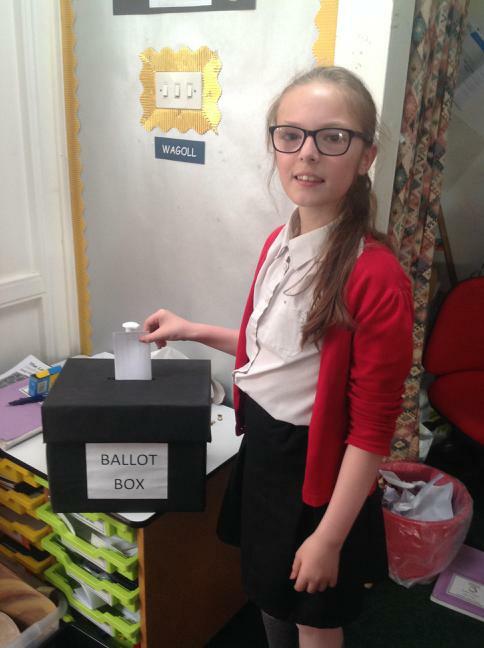 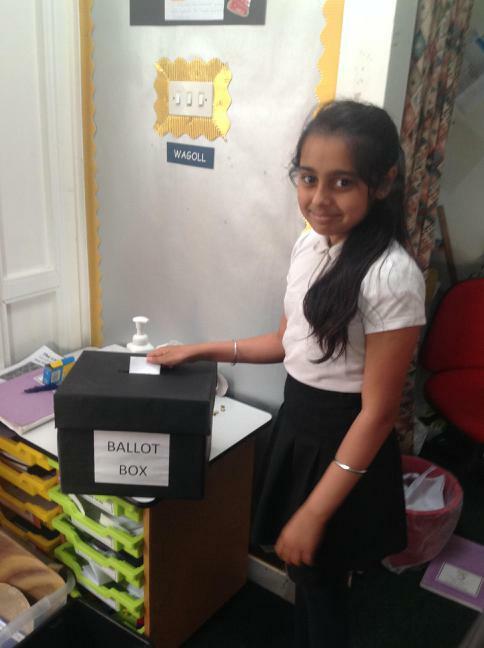 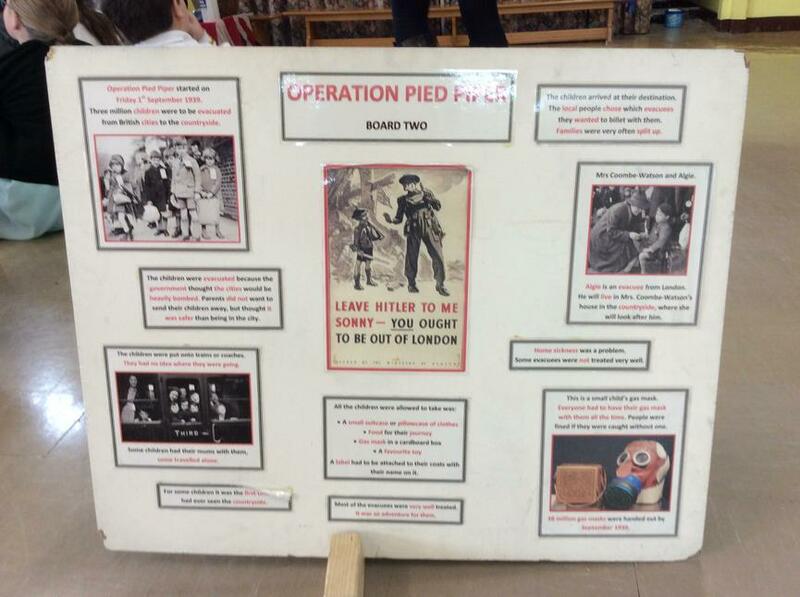 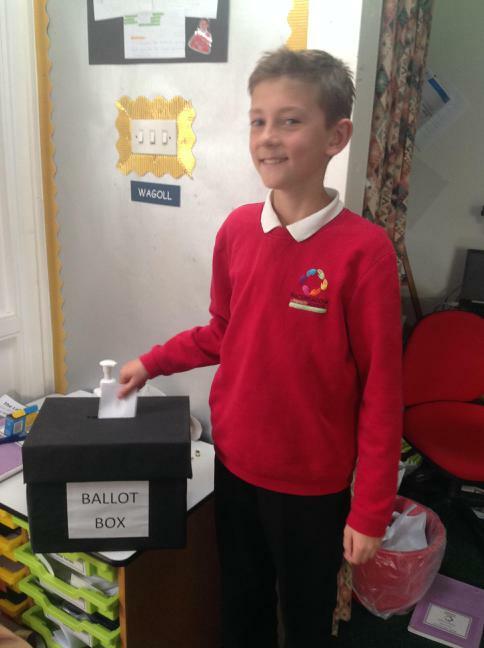 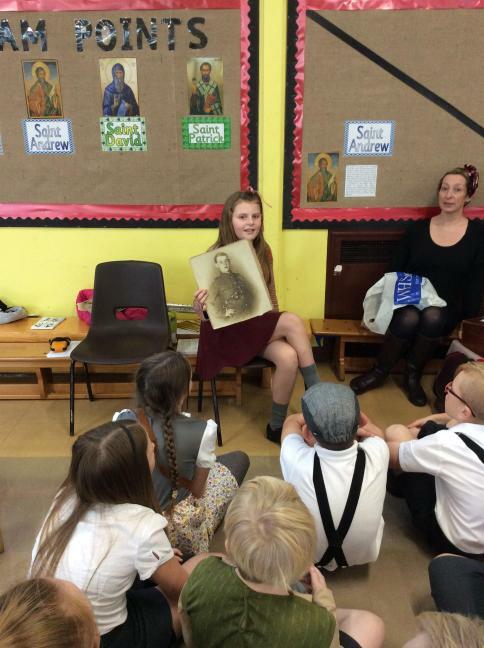 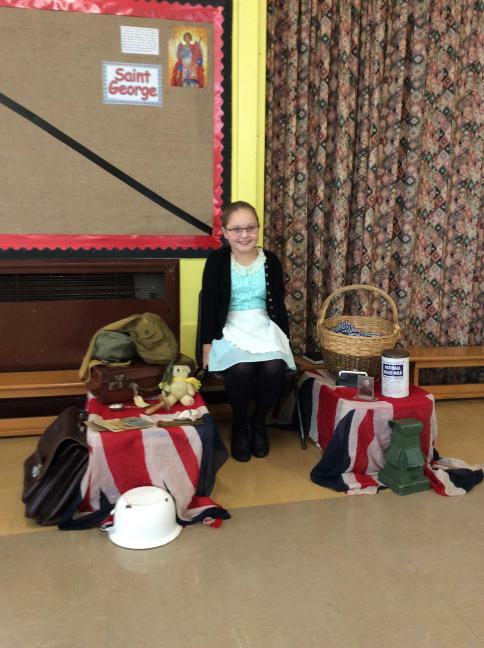 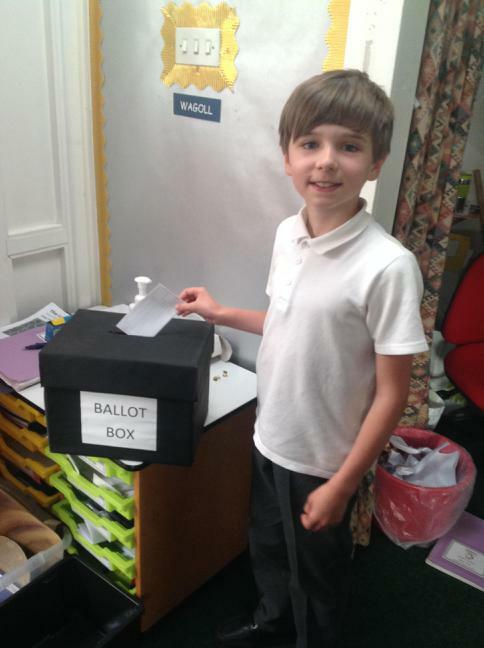 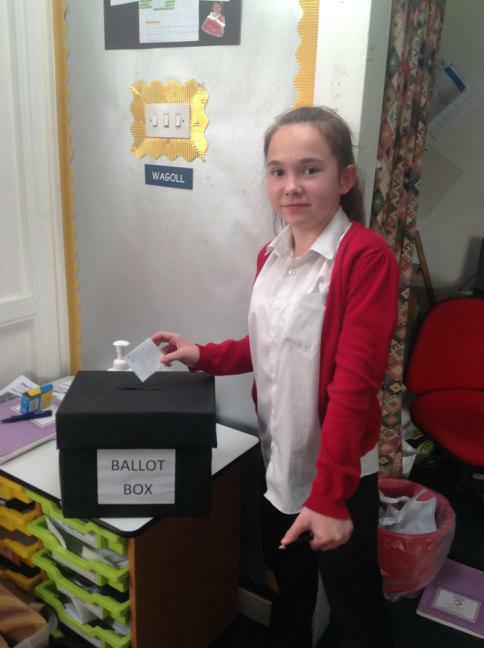 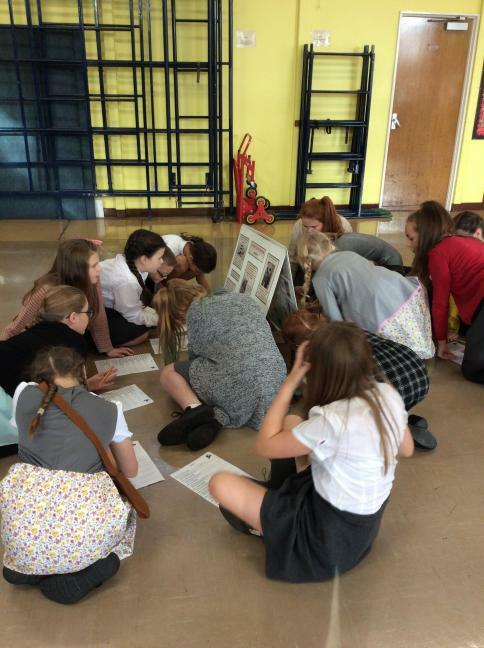 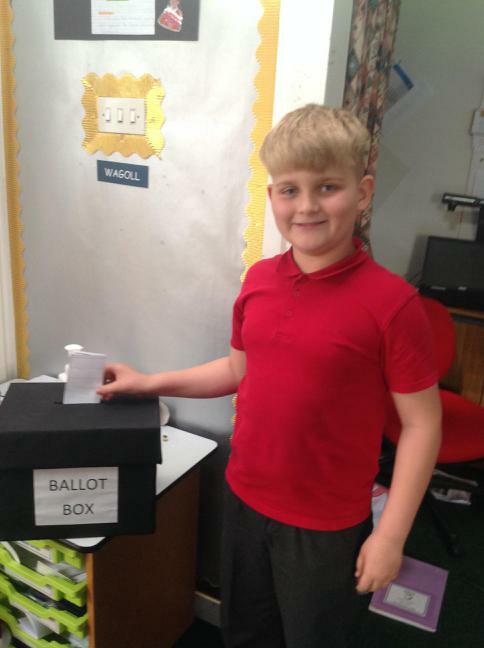 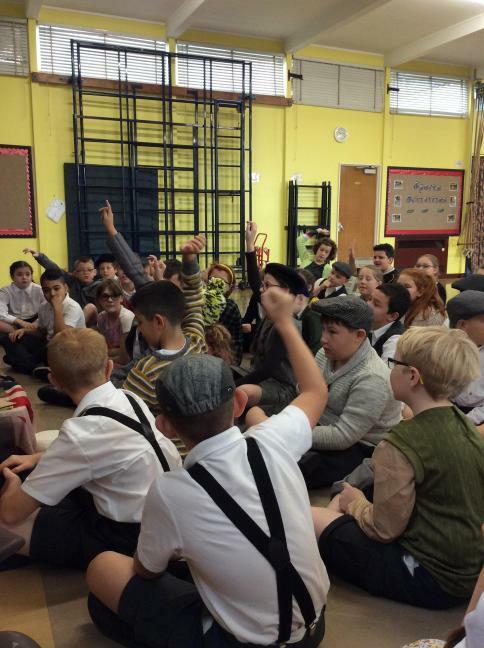 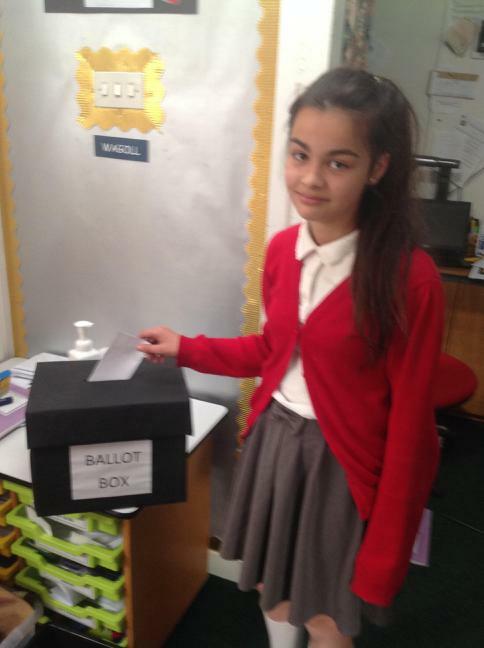 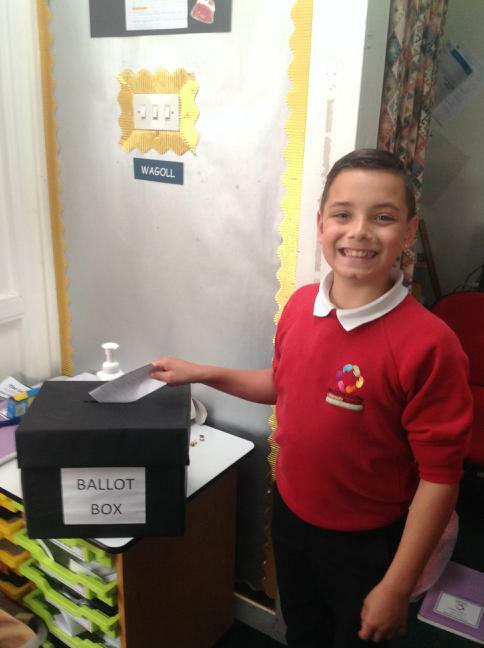 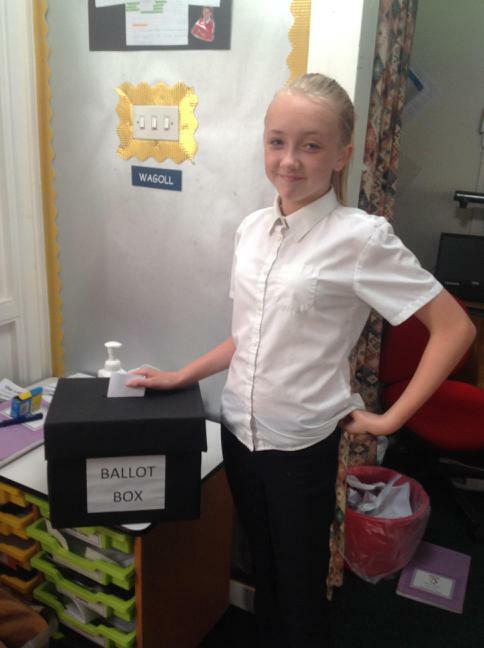 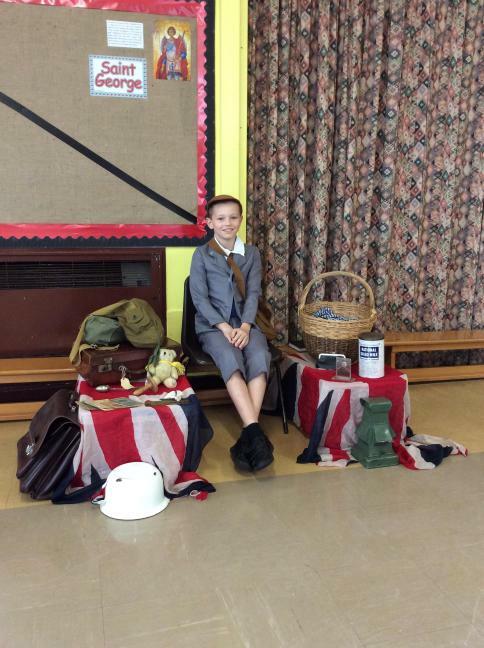 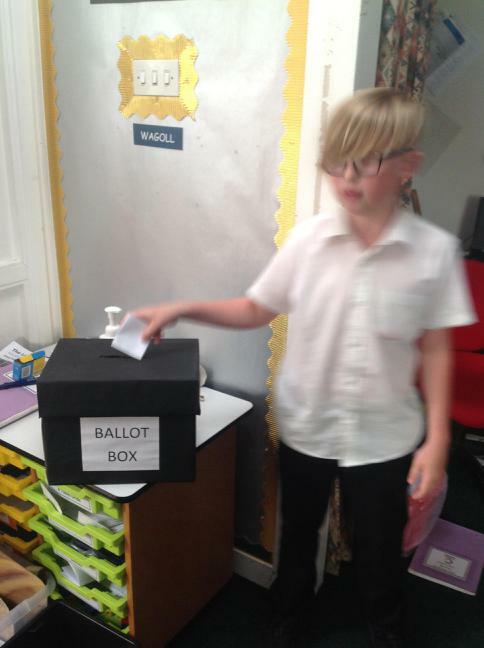 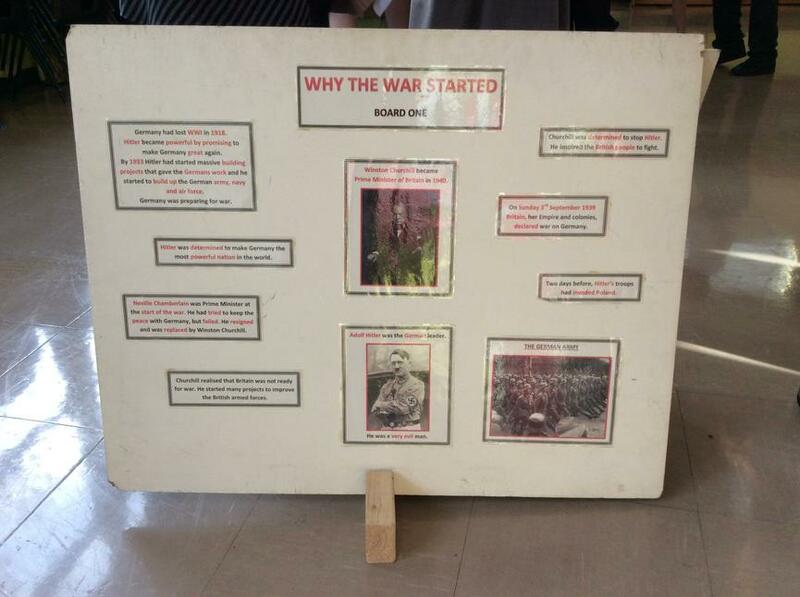 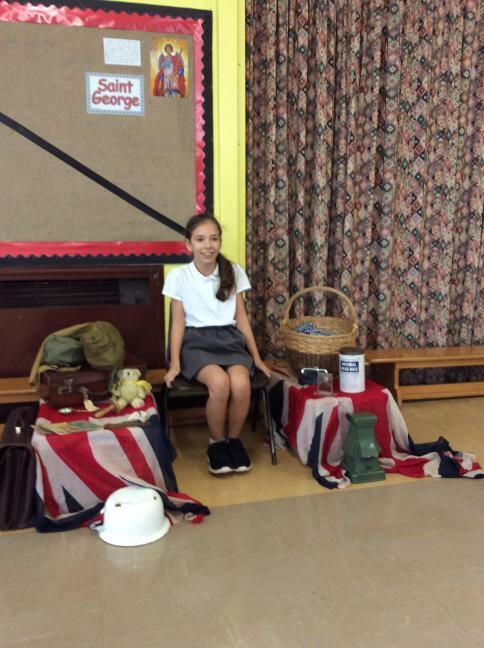 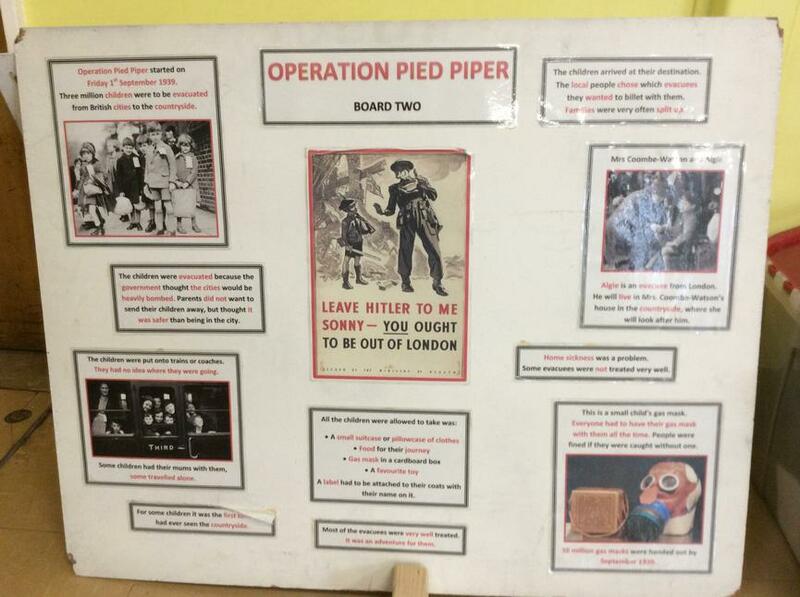 During the Autumn term, we learned all about WW11 and how it affected the lives of children. 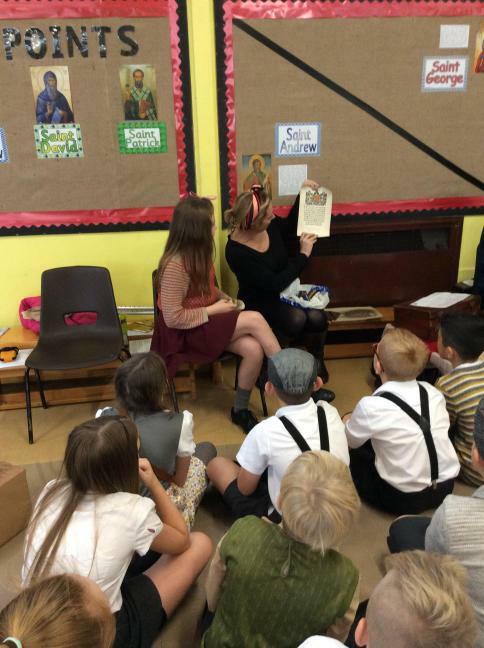 At the beginning of the year, we started a Racemeadow Reading Racecourse to celebrate the reading we do at home with our families. 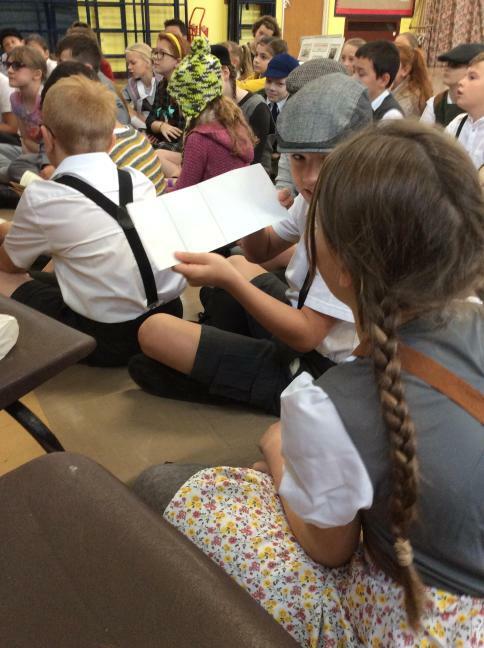 Some of us were a little slow off the start line, however now we are all racing towards the Winner's Enclosure by reading at home and having our diaries signed every day.